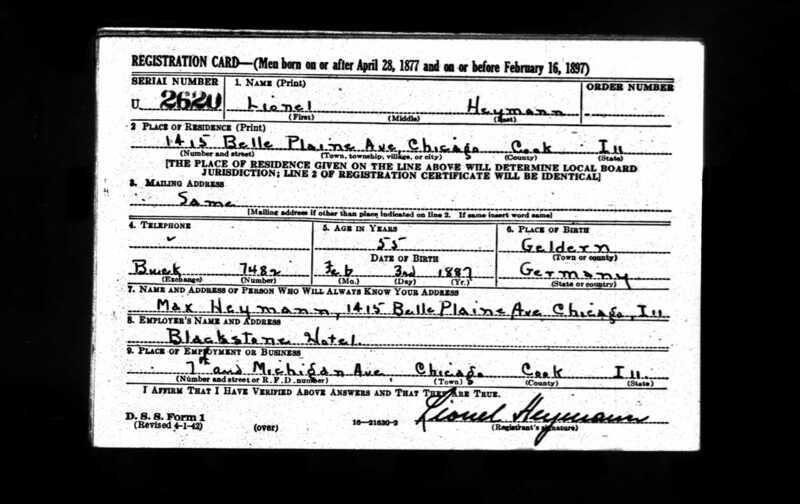 In my last post, I discussed how I was puzzled to learn that Lionel Heymann had been a well-regarded photographer, but had listed his occupation as a waiter on the census records for 1930 and 1940. Well, now I have found an explanation. 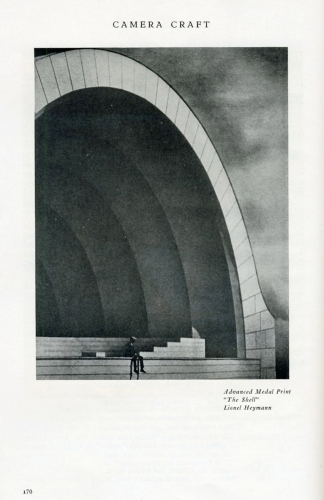 In the course of looking for a print of one of Lionel’s photographs to purchase (which I’ve not yet been able to locate), I found this bit of information about Lionel online, quoting from the catalog of the Sixteenth Detroit International Salon of Photography, Photographic Society of Detroit, Detroit Institute of Arts, 1947. This explains so much. First, it explains what Lionel was doing in Detroit when his brother Walter arrived from Germany. Second, it explains why Lionel did not list photography as his occupation on the 1930 or 1940 census or on his World War II draft registration. He did not become a professional photographer until 1945. Finally I have come to the youngest of my great-grandfather’s siblings, the only one born after he was, his younger sister Rosalie. Her story is even more tragic than that of her brother Jakob. 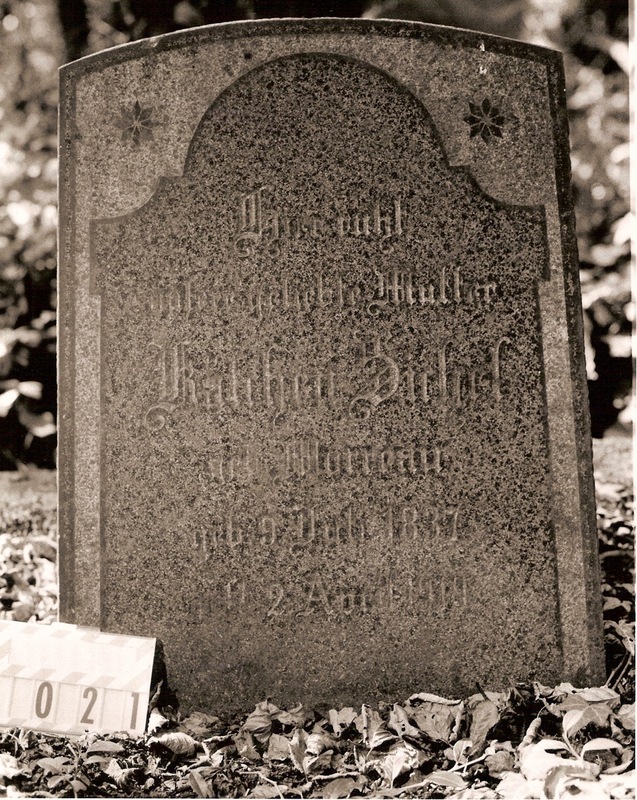 Rosalie was born in Sielen, Germany, in 1863, five years after my great-grandfather Isidore. 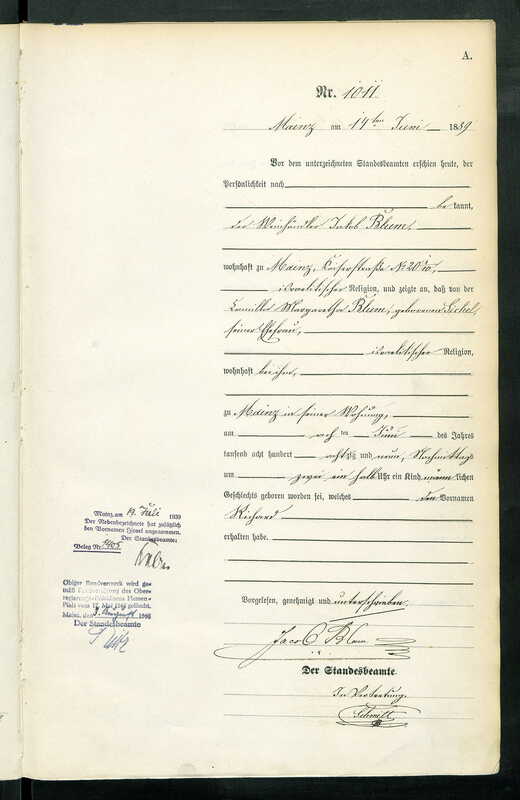 As I wrote earlier, she came with her mother and Isidore to the United States in 1881 when she was eighteen, but returned to Germany to marry Willy Heymann of Geldern, to whom she was apparently engaged even before leaving Germany. They were married on December 8, 1884, in Geldern. I was fortunate that there were numerous sources available that provided me with information about Rosalie, Willy, and their family. 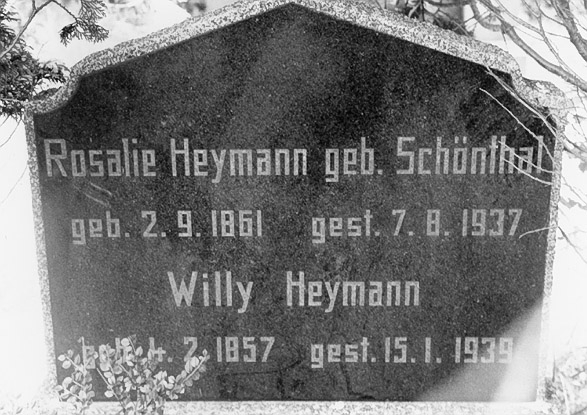 Two German websites had biographies of Willy and Rosalie Heymann and their children. One, a site about the Geldern Jewish community, indicated that Willy and Rosalie had had six children, although it only named two of them, Helene and Hilda. 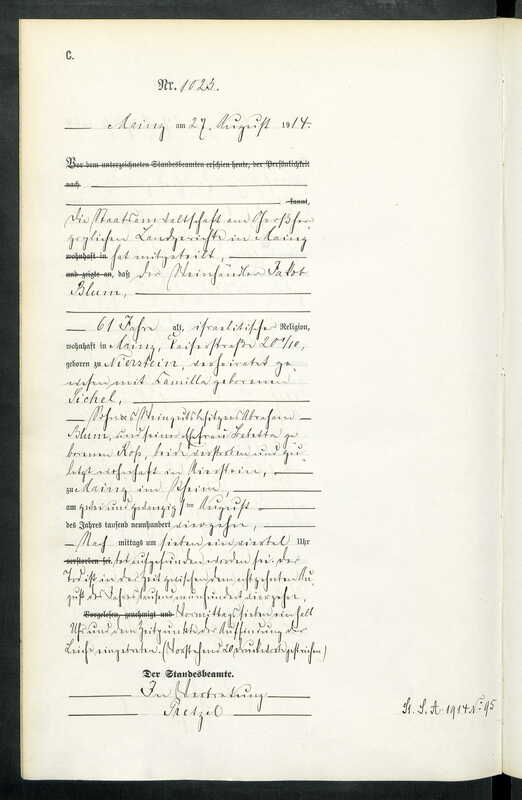 A second website containing information about the Heymann family was the Steinheim Institute site, which confirmed the fact that there had been six children and provided the names and birth years of all six as well as other pertinent facts that helped me with my research of Rosalie’s children. From these two sources, I learned that Willy was a horse trader like his father Levi Heymann and was born in Geldern in February, 1857. Geldern is about 150 miles from Sielen, so I’ve no idea how Rosalie and Willy knew each other; perhaps their fathers had known each other. Willy and Rosalie settled in Geldern; their six children were: Lionel, born in 1887 and presumably named for Rosalie’s father, my great-great grandfather Levi Schoenthal; Johanna, born in 1889; Helene, born in 1890 (perhaps named for Henriette Hamberg, Rosalie’s mother), Max, 1893; Walter, 1896; and Hilda, born in 1898. 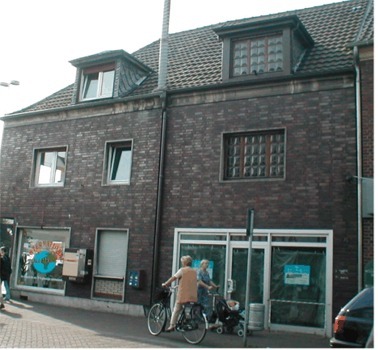 The Geldern site had a photograph of the Heymann home in Geldern, depicted below. Willy Heymann wurde nach seinem Tod von dem 14jährigen Fritz Davids, der erst kurze Zeit zuvor aus dem KZ Dachau zurückgekehrt war, in das man ihn nach der Pogromnacht mit seinem Vater verschleppt hatte, ganz alleine und heimlich zum Friedhof gebracht und begraben. How would you interpret that sentence? Does it mean that Willy had died outside of Geldern and been secretly returned by this fourteen year old boy? Had Willy also been at Dachau or just Fritz and his father? 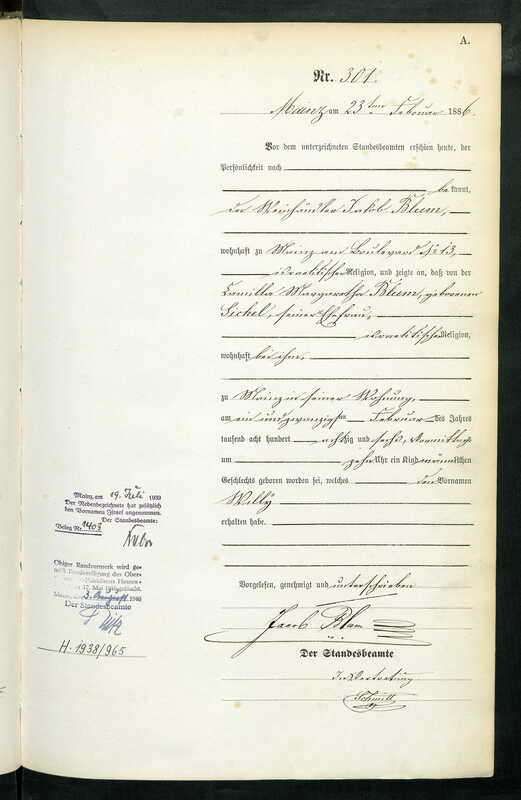 Or does it mean that Willy and Fritz’s father had been brought to Dachau after Kristallnacht? Does the “he” in that last phrase refer to Willy or Fritz? I am inclined to think that Willy was at Dachau because otherwise, why would he have had to have been secretly brought to the Geldern cemetery? 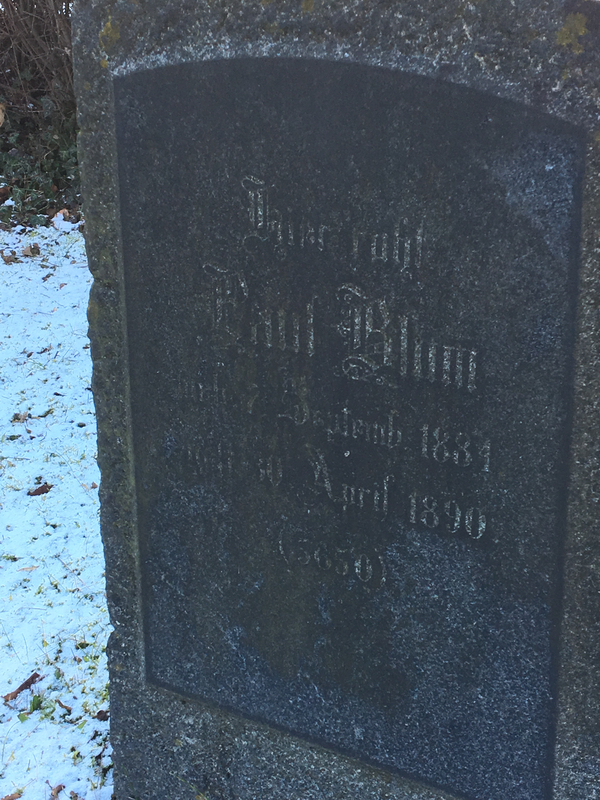 Aus dem KZ zurück, muß Fritz Davids schon zwei Monate später miterleben, wie schlimm es mittlerweile den Juden erging. Selbst vor dem Tod hat man nämlich keine Achtung mehr : Der Jude Willy Heymann war fast 84-jährig verstorben. Da ihn niemand begraben wollte oder konnte, lädt der 14-jährige Fritz die Leiche auf eine Schubkarre und fährt sie im Morgengrauen zum Boeckelter Weg auf den jüdischen Friedhof, wo er, ganz der ‚Würde” der Zeit entsprechend, dem alten Mann ein Grab schaufelt und den Kaddish spricht. Auch David Cain und Jakob Heymann wurden unter solchen entwürdigenden Umständen begraben. 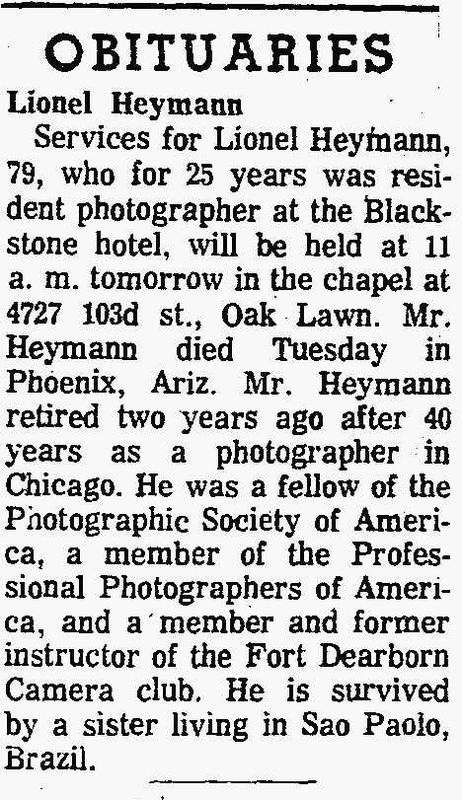 Thank you, Renate and Cathy, for allowing me to memorialize Willy Heymann more completely. The information about Willy and Rosalie and their children was also confirmed by a third source, Juden in der Geschichte des Gelderlandes (2002), a book edited by Gerd Halmanns and Bernhard Keuck that contains information, photographs, articles, documents, and maps of the Jewish communities in Geldern and the surrounding towns. 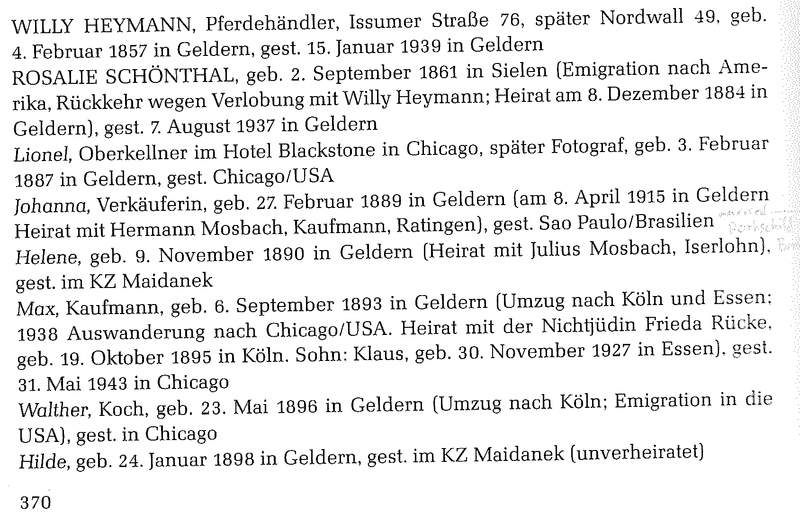 Rodney Eisfelder from the GermanSIG of JewishGen kindly sent me a copy of page 370 from that book, which lists information about Willy Heymann and his family. 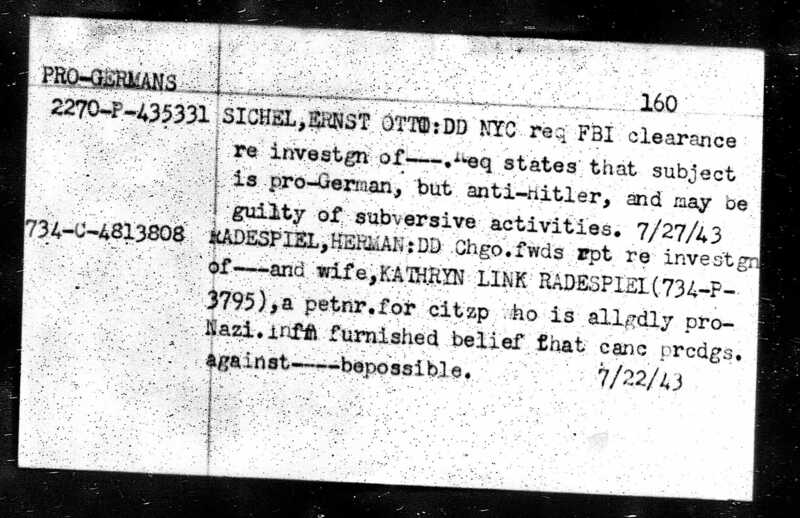 That page also provided me with numerous clues about the Heymann children. 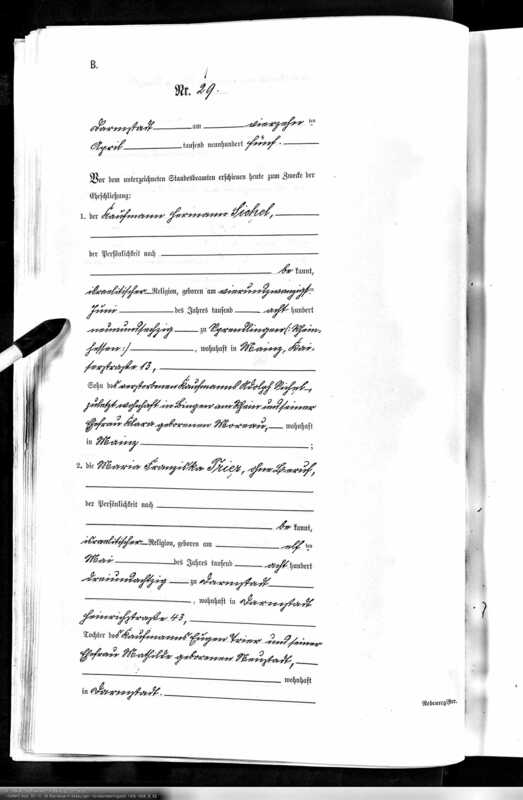 From these sources, I knew that Lionel Heymann, the oldest child, had moved to Chicago, but I found out that before he immigrated to the US, he had left Germany for England; he is listed on the 1911 English census as a 24 year old German national, living in London and working as a hotel waiter. 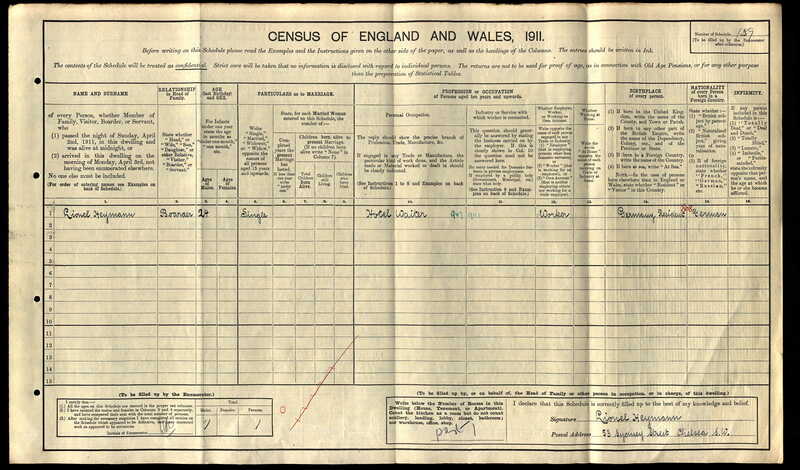 Original data: Census Returns of England and Wales, 1911. Kew, Surrey, England: The National Archives of the UK (TNA), 1911. Data imaged from the National Archives, London, England. 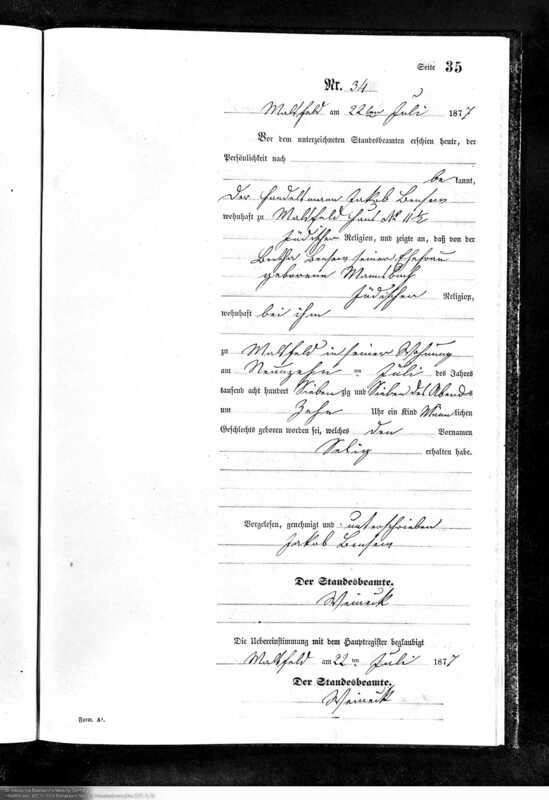 In 1912 he sailed from England to Algiers, still a German citizen, but listing his intended future permanent residence as Switzerland. 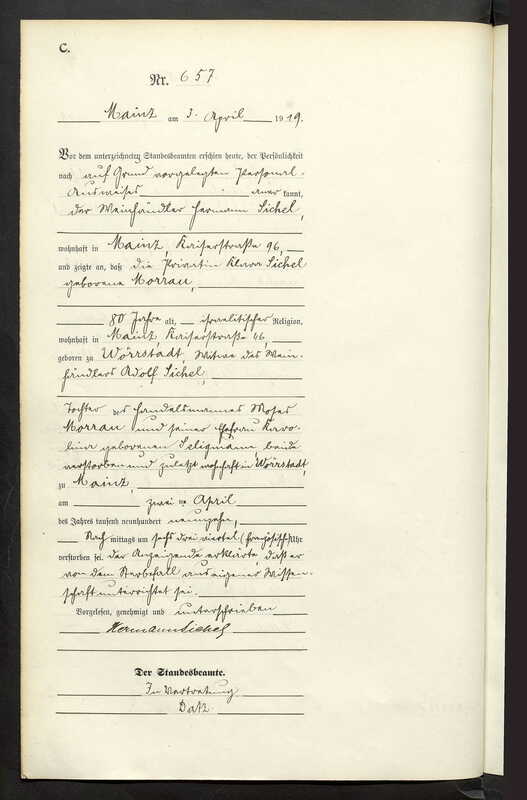 He was working as a hotel manager, according to the ship manifest. 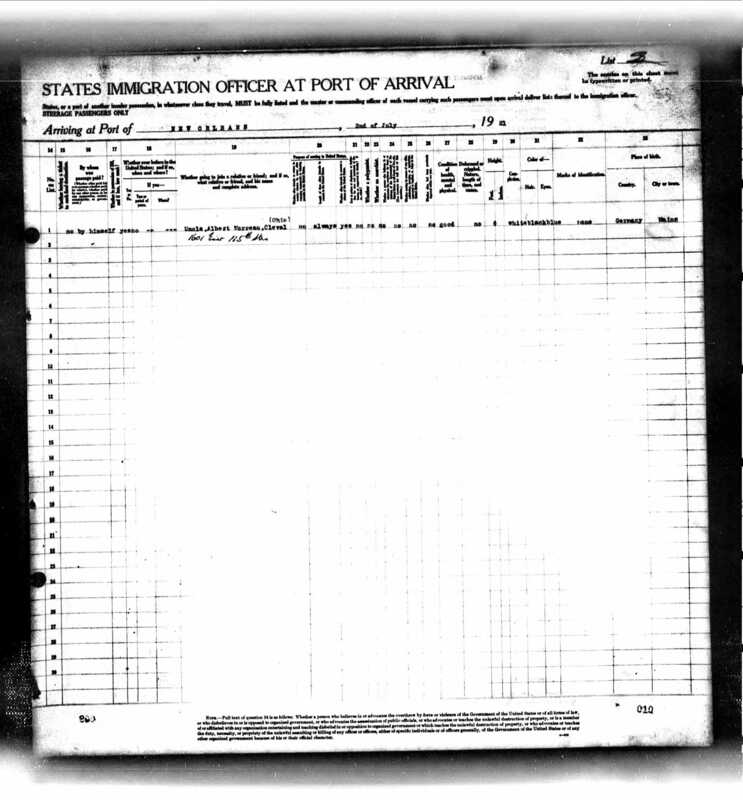 He next surfaced on a passenger ship manifest for a ship sailing from England to New York in 1924. 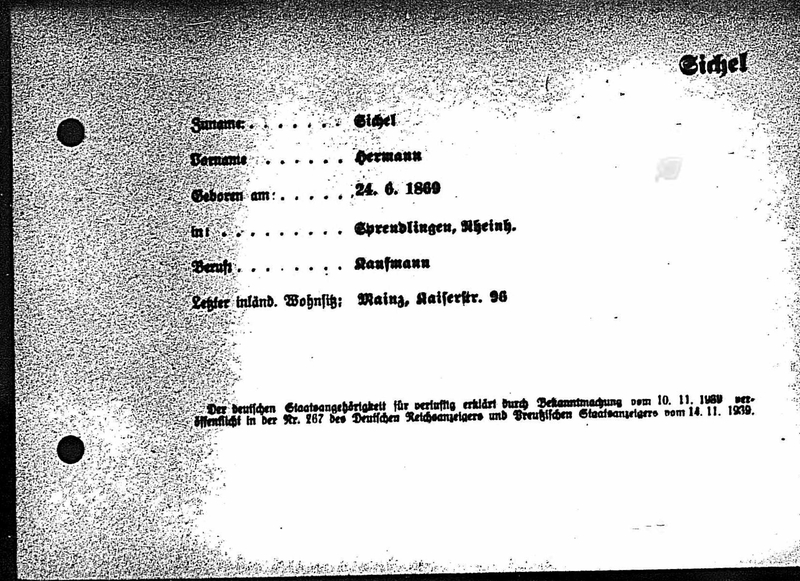 He was still a German citizen, stating that his last permanent residence was Geldern, Germany, and listing his father “Wilhelm Hyman” of Geldern as his contact in that place. He said that he was going to his uncle Harry Schoenthal of 260 Riverside Drive in New York City. At first I was thrown by this, but then realized he must have meant Henry Schoenthal, his mother’s oldest brother, who was in fact living in New York at that time. 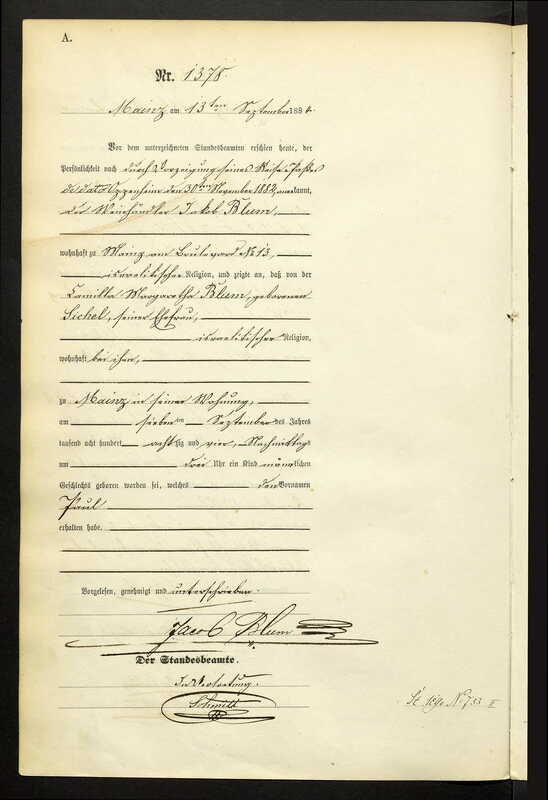 Lionel indicated on this manifest that he intended to settle permanently in the United States. 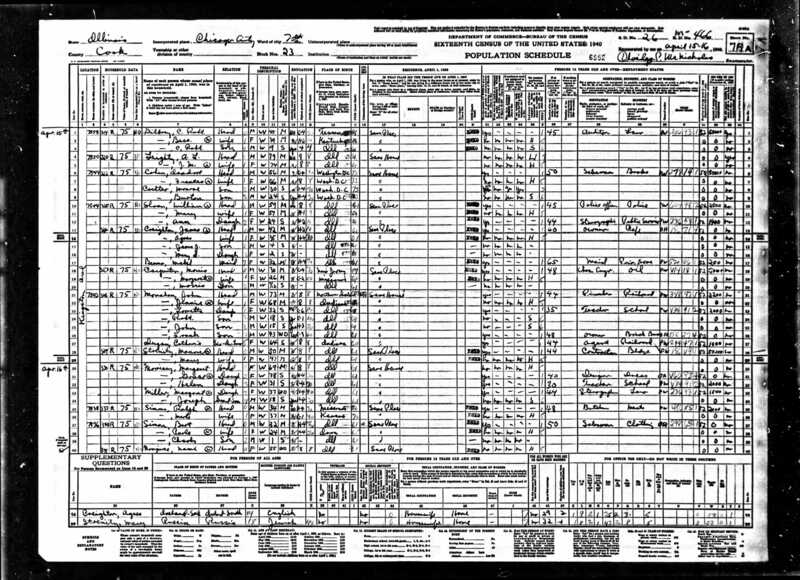 By 1928, Lionel was living in Chicago and working as a waiter, as reflected on this October 30, 1928 passenger manifest. 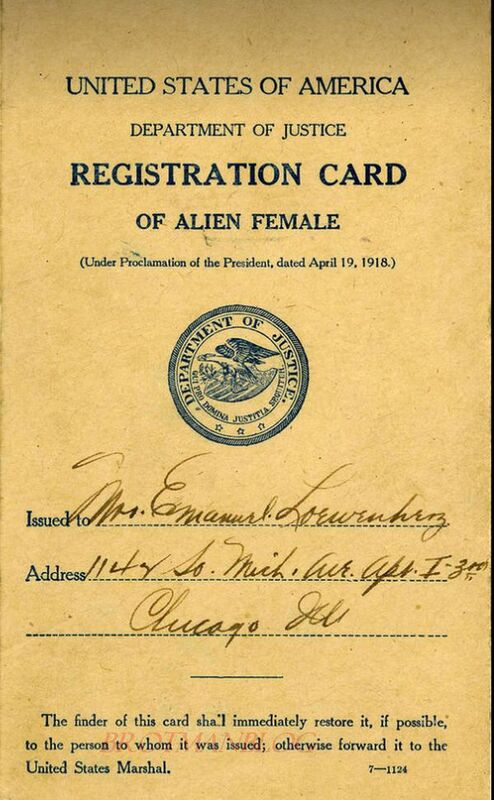 He was still an alien resident, listing his father again as his contact in Germany, but providing his Chicago address as his permanent address. He was returning from Germany, so he probably had been visiting his family back home. 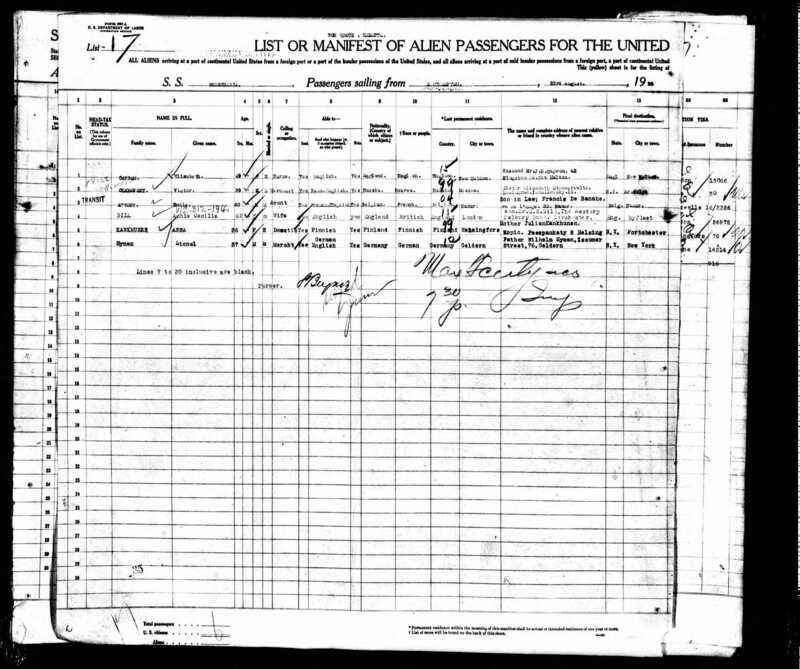 Interestingly, Lionel’s younger brother Walter had arrived in the US just a few months earlier in June, 1928. This was consistent with the information in the above-mentioned sources—that is, that Walter also had ended up in Chicago. 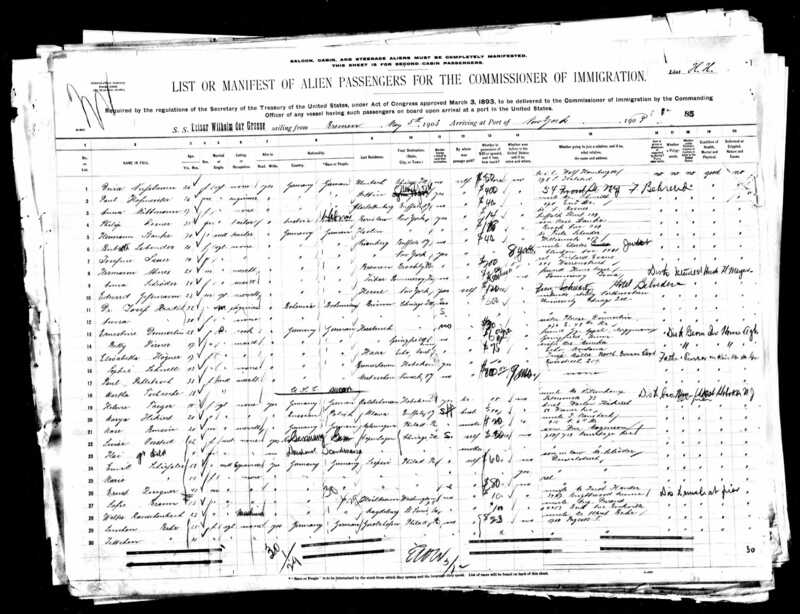 On the ship manifest for Walter’s arrival it reports that Walter was a cook, that he was 32, that his last residence had been Cologne, Germany, and that he was heading for Chicago where his brother Lionel resided. 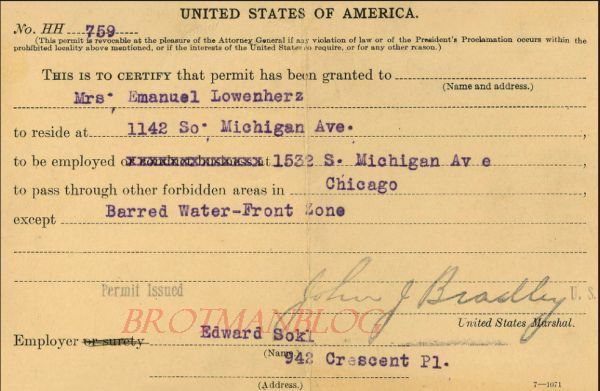 After searching the 1930 census as many ways as I could, including using Lionel’s address as given on both the 1928 ship manifests and his 1933 naturalization papers (1411 Winnemac Avenue), I concluded that the census enumerator had completely missed that address. The listings include 1409 and 1413, but not 1411. Just my luck. 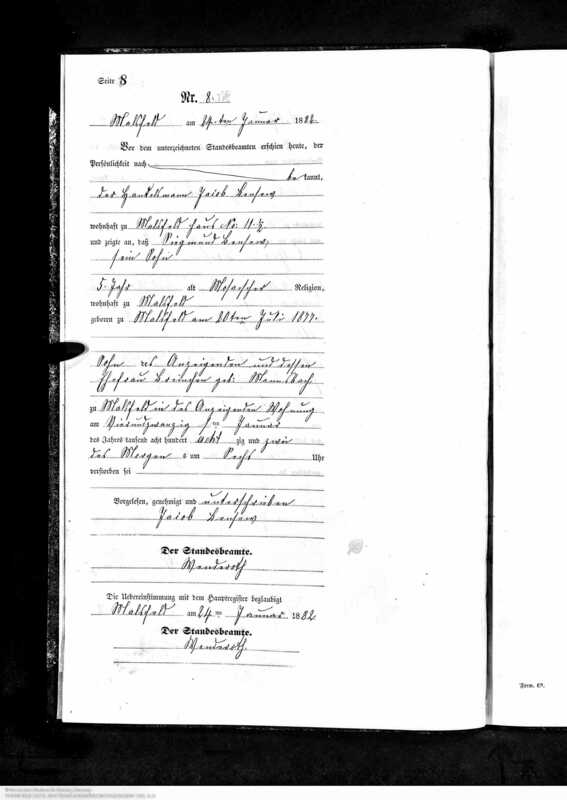 Although I could not find Lionel on the 1930 census, Walter is listed on that census, living as a lodger in Chicago and working as a chef in a hotel. He was then 34 years old and had been in the US for two years and had filed his papers for citizenship. As mentioned, Lionel became a naturalized US citizen in 1933. Ancestry.com. 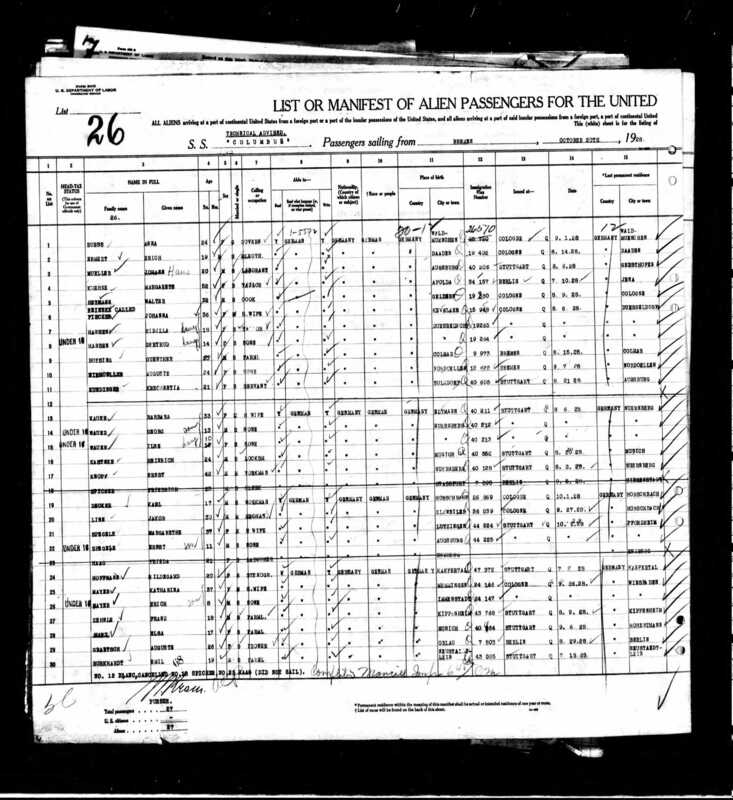 U.S. Naturalization Record Indexes, 1791-1992 (Indexed in World Archives Project) [database on-line]. Provo, UT, USA: Ancestry.com Operations, Inc., 2010. 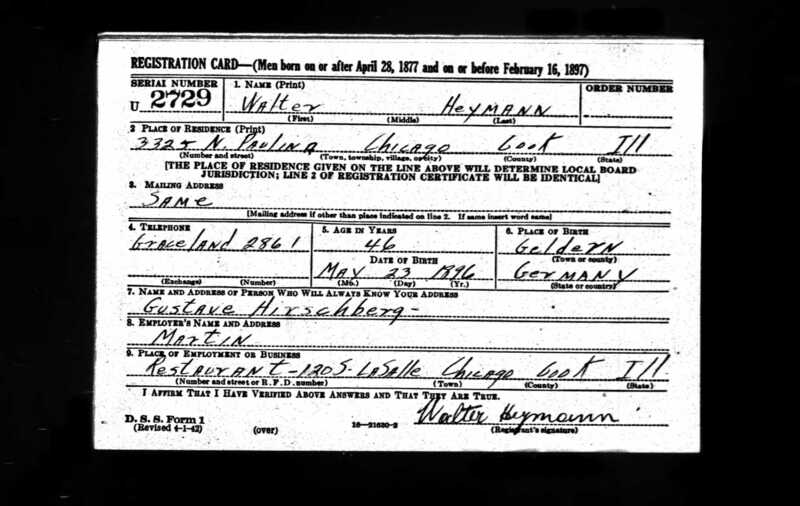 According to the Cook County, Illinois Marriage Index, Walter Heymann married Lucie Goldschmied on March 16, 1934. Lucie was born in Frankfurt, Germany, on February 11, 1908, the daughter of Miksa (later Americanized to Michael) Goldschmied, a Hungarian native, and Bertha Hirschberg, a native of Eschbach, Germany. 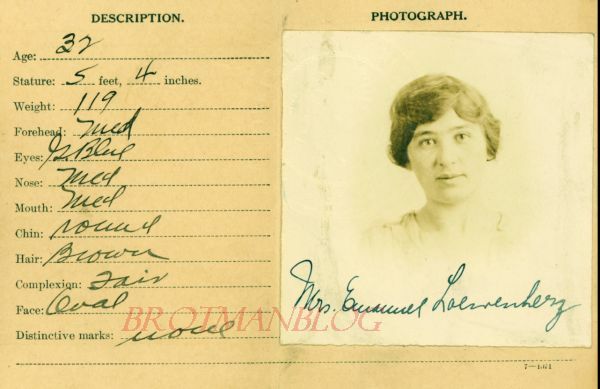 Lucie first came to the US in 1928, according to the 1930 census, which has her listed as residing at the Moraine Hotel in Highland Park, Illinois (a suburb of Chicago), where she was employed as a pantry servant. I assume that this was the same hotel where Walter was employed as a chef. In the early years of this century, the Hotel Moraine-on-the-Lake sparkled as a North Shore glamor resort. 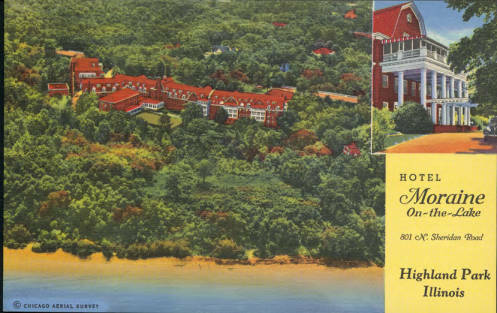 Built on 15 acres overlooking Lake Michigan in Highland Park, the hostelry opened in 1900 with 140 rooms. The Moraine immediately caught the eye of the rich and famous. Glancing through old guest registries (now in the Highland Park Historical Society), you`ll spot some well-known Chicago names–the Marshall Field family, the Swifts, the Pullmans, the Florsheims, and many others. Guests came from all over the U.S. and even from abroad. Some of the more affluent even traveled with their chauffeurs and maids. … The heyday of the Moraine continued into the 1920s, when the increasing number of guests necessitated additions to the hotel. Then came the Depression and even the Moraine was not spared–it declared bankruptcy in 1937. By 1939, the once-grand hotel had become a barracks for military officers. But sunnier days were just around the corner. In 1942, the hotel was purchased, rehabbed, and reopened. It regained some of its former glory and operated until 1969, when the last guest checked out. In 1972, the Hotel Moraine-on-the-Lake itself checked out. It was torn down and the site was turned into a public park. If this is indeed where Walter and Lucie were working when they met, they were certainly working in quite a grand place. 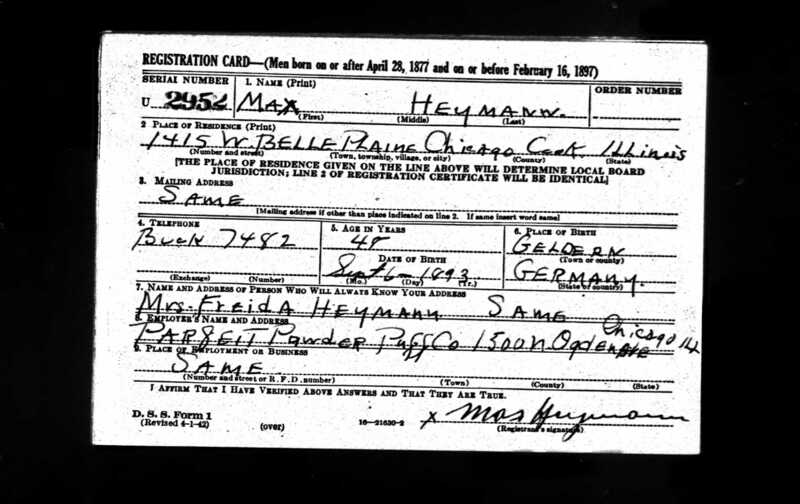 Max Heymann, the middle brother, was still back in Germany during this period, but he finally came to the US with his wife Frieda and their eleven year old son Klaus on January 7, 1939, escaping from Nazi Germany. 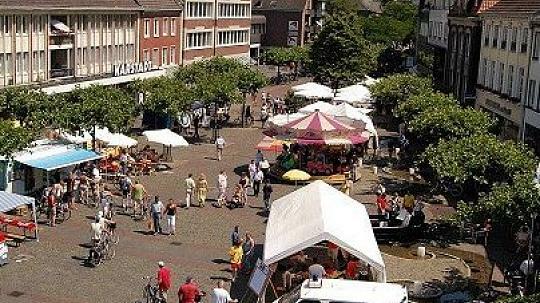 They had been most recently living in Essen, Germany, where Klaus was born. 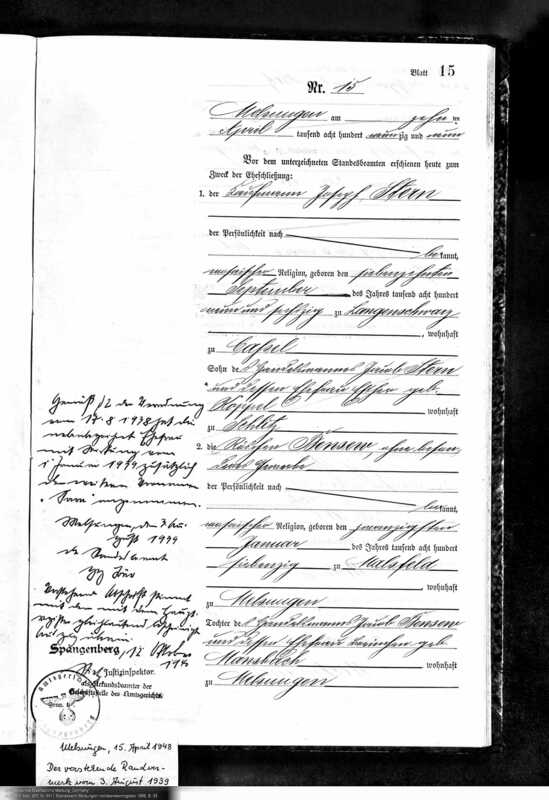 Max listed his occupation as a merchant, his father Willy Heymann as the person he was leaving behind, and his brother Lionel as the person he was going to in the US. I was surprised to see that Lionel was then living in Detroit, not Chicago. 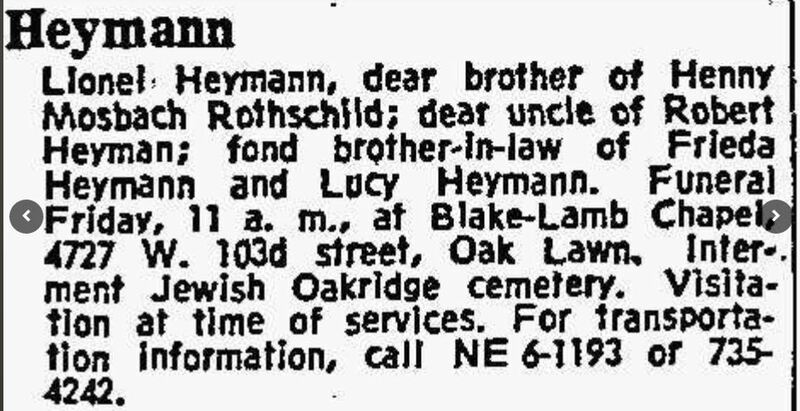 By 1940, all three of the sons of Rosalie Schoenthal and Willy Heymann were living in Chicago. 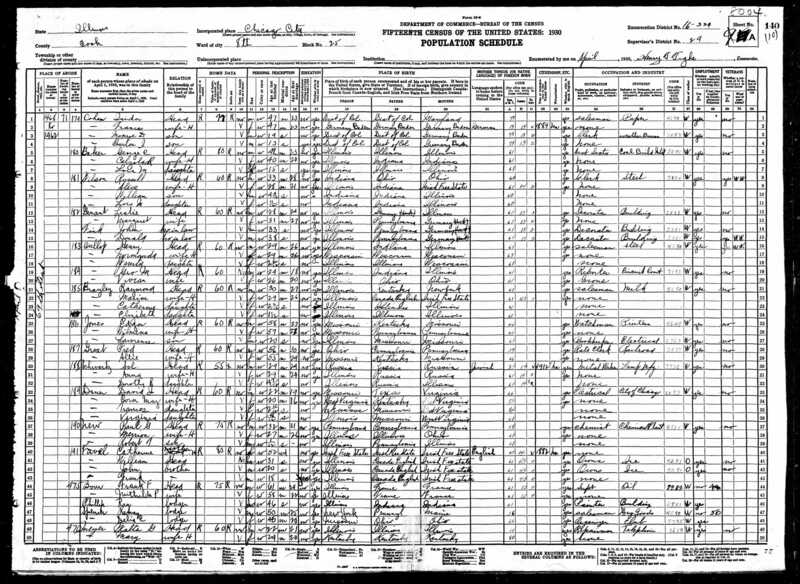 According to the 1940 census, Lionel was living in the household of his brother Max in 1940, apparently having returned from Detroit. Lionel was now the head waiter at a hotel, according to the census. Max was a salesman for a paper box manufacturing company. Lionel, Max, Frieda, and Klaus were living at 1441 Belle Plaine Avenue in Chicago. 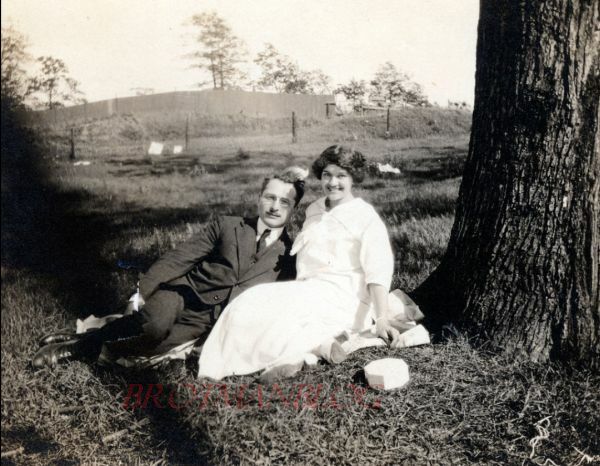 Walter and his wife Lucie as well as Lucie’s recently arrived parents, Michael and Bertha Goldschmied, were living a mile away from Max and Lionel at 3325 North Paulina Street in Chicago. Walter was continuing to work as the cook in a hotel, and Lucie was working as a waitress, perhaps in the same hotel restaurant. Lucie and Walter did not have any children. 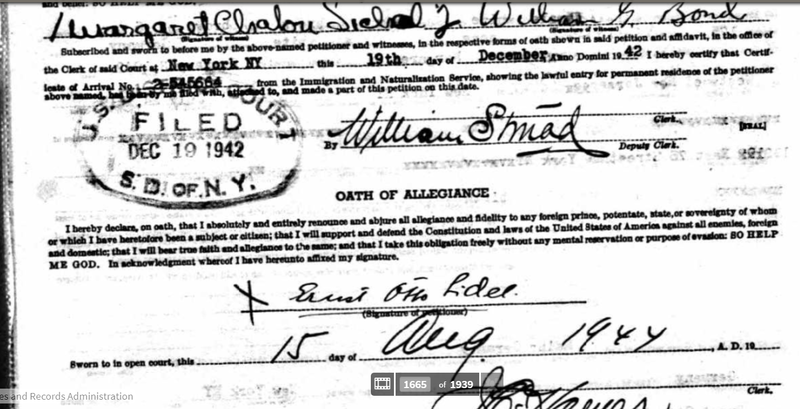 All three brothers registered for the World War II draft in 1942. According to those registrations, Lionel was still living with Max on Belle Plaine Avenue and working for the Blackstone Hotel. Max was now working for Parfeit Powder Puff Company in Chicago. Walter was still living on North Paulina Street and working for “Martin,” a restaurant. Original data: United States, Selective Service System. 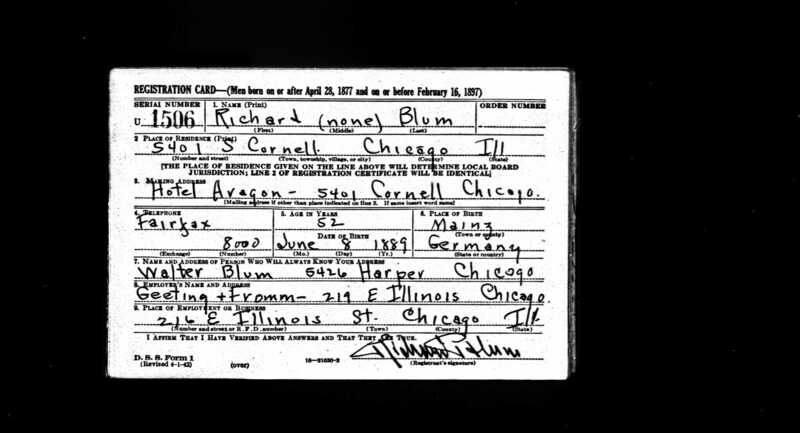 Selective Service Registration Cards, World War II: Fourth Registration. Max died a year later on May 31, 1943. He was only 49 years old. 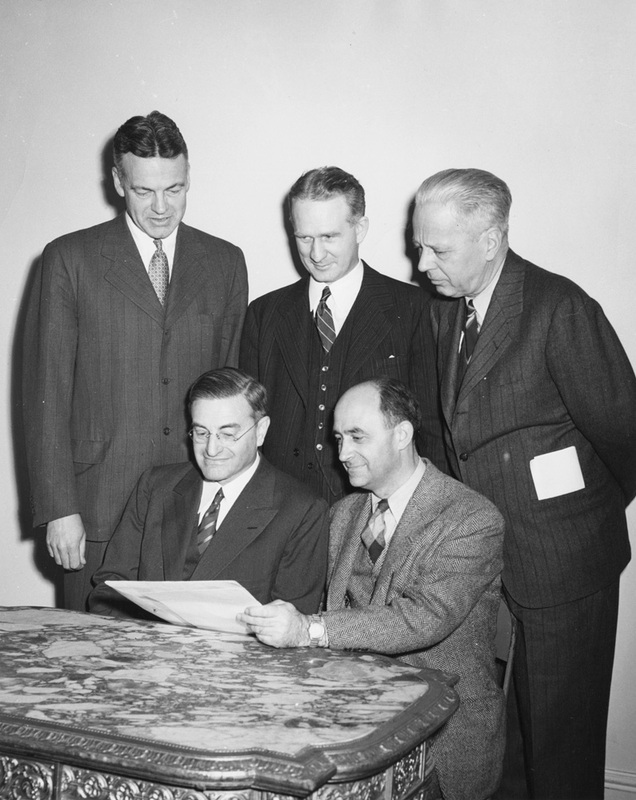 Walter died ten years after his brother Max on August 14, 1953; he was only 57. Did the stress of uprooting themselves and worrying about their relatives back home contribute to their early deaths? I don’t know. Lionel, the oldest brother, lived the longest. He died on November 29, 1966, when he was 79 years old. I was fortunate to find both a death notice and an obituary for Lionel (but none for his brothers). Those two records revealed more about Lionel than I’d been able to glean from the passenger ship manifests or the census records. He’d had a whole other life not reported on those documents. It’s been a while since I left off with my discussion of my Schoenthal relatives, in particular the ten children of my great-grandfather Isidore’s brother, Simon Schoenthal, and his wife Rose Mansbach. Of their nine children who survived to adulthood, I have discussed Harry, who made his life in Atlantic City where his parents had moved in the 1890s and remained; Gertrude, who married Jacob J. Miller and settled for many years in Arizona; and Louis, who moved to Los Angeles and San Francisco and may have spent part of his career working as a showman in the carnival industry. Now I will write about the next two sons: Maurice and Martin, both of whom ended up together for at least some years in the midwest---in Chicago. 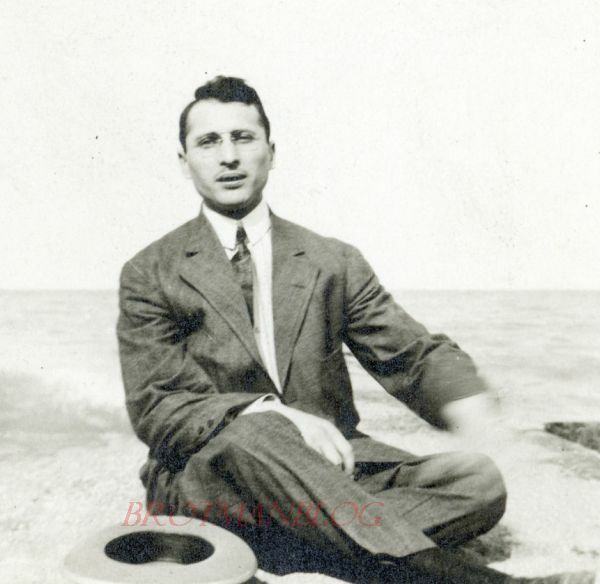 Maurice Schoenthal, born in 1879, had been working with his brothers in 1904 in Atlantic City as a manager of their pool hall, but by 1910 he had relocated to Saint Louis, Missouri. 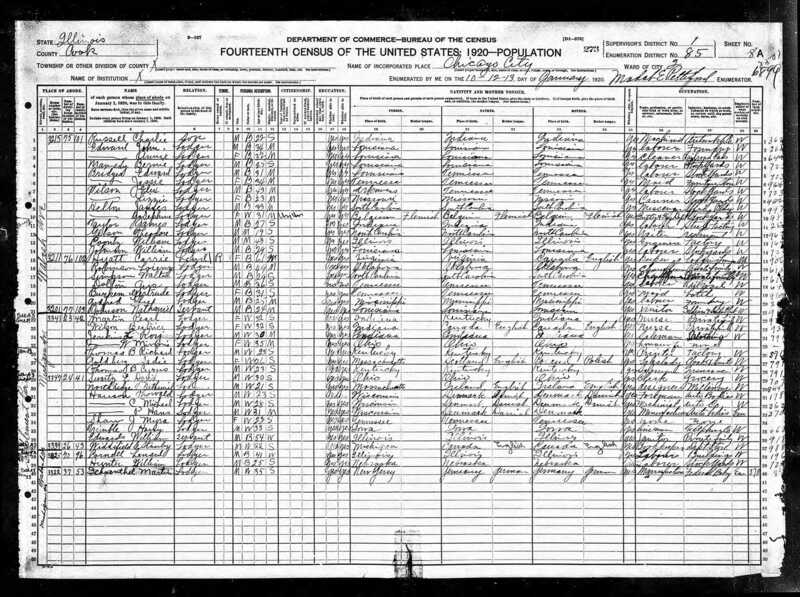 I’ve no idea what drew him to St. Louis, but he is listed as residing there on the 1910 census, lodging with the family of Ferdinand Bach. But there is something odd about the census entry. It says that Maurice was a Missouri-born lawyer in private practice, which made me think this was not the right Maurice Schoenthal. But the entry underneath is for a Louis Mayer, described as a Pennsylvania-born bookkeeper for an automobile store. Could the two lines have been accidentally switched by the enumerator? A search for Louis Mayer in the St. Louis directories confirmed my hunch. Louis Mayer was a lawyer, my cousin Maurice must have been the Pennsylvania-born bookkeeper. Blanche was born in 1881 in St. Louis, the daughter of George Woolf, who was born in New York, and Leah Morris, who was born in England. George Woolf had died in 1908, and in 1910 Blanche was living with her mother and siblings. Her oldest sibling, Morris, was already married and the owner of a silk business, Morris Woolf Silk. Although Maurice and Blanche were still living in St. Louis in 1913, by 1914 they were living in Chicago, where Maurice was working as a credit manager. 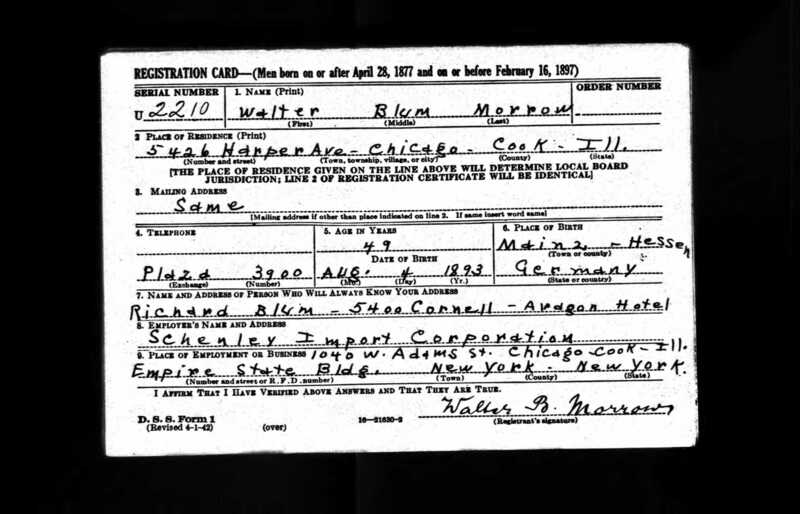 As reflected on his World War I draft registration, he was the credit manager for Morris Woolf Silk, his brother-in-law’s business. Maurice and Blanche had two children born in 1913 and 1918. In 1920 they were all still living in Chicago, and Maurice was still working as a credit manager for the silk company. Morris Woolf Silk at one time must have been a very successful business; a search on newspapers.com brought up many ads from papers in many states: Texas, Kansas, Indiana, Ohio, and Illinois, for example. In the spring of 1920, Maurice represented the company on a trip across the country with over forty other “prominent” or “notable” businessmen (yes, just men) from Chicago that included stops in several cities, including El Paso, Texas, Los Angeles, San Francisco and San Bernardino, California, Portland Oregon, and Phoenix, Arizona. 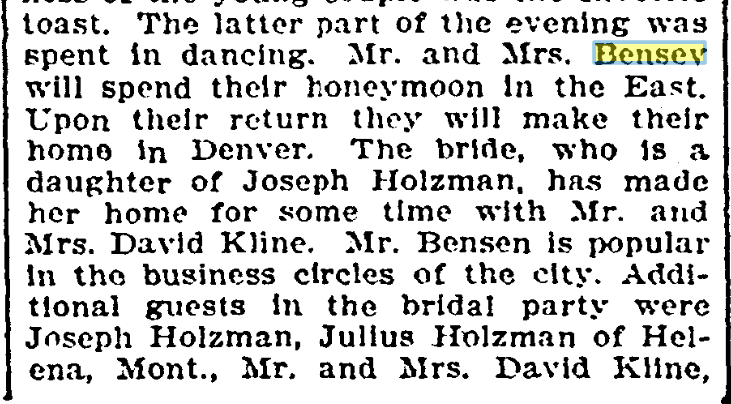 See, e.g., “Chicago Party to Visit Phoenix Next Wednesday,” The Arizona Republican, May 3, 1920, p. 8; “Chicagoans Are to See Valley This Morning,” San Bernardino Daily Sun, May 6, 1920, p. 7; “Chicago Business Men Guest of City,” Portland Oregonian, May 18, 1920, p. 11. 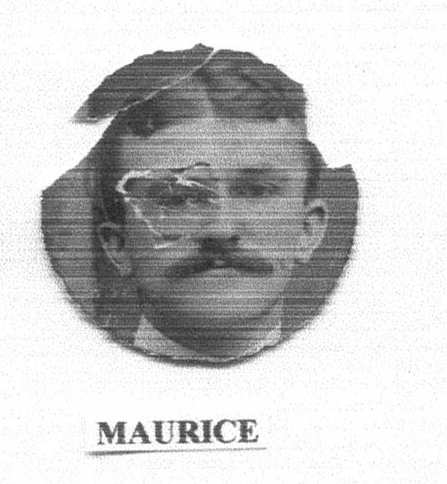 During these years, Maurice’s younger brother Martin was also living in Chicago. 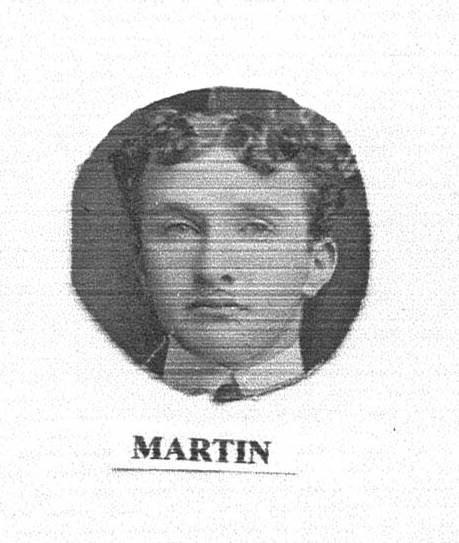 In 1910, Martin had been living with his mother and younger siblings, working in the family laundry business, but by 1914, he is listed as a salesman in the Chicago directory. 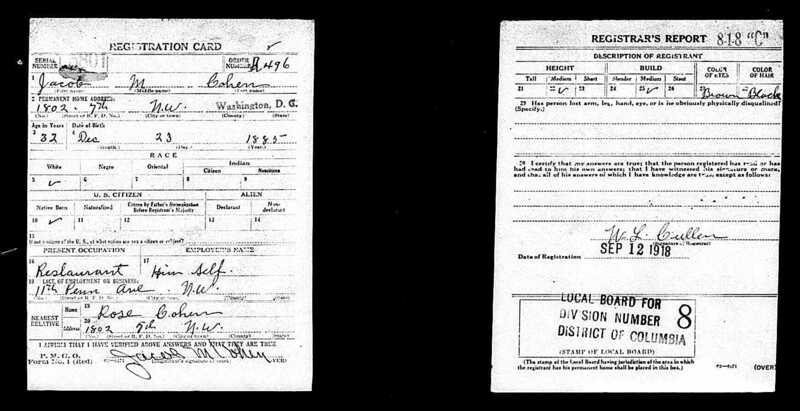 His World War I draft registration is more specific; Martin was working as a car salesman. 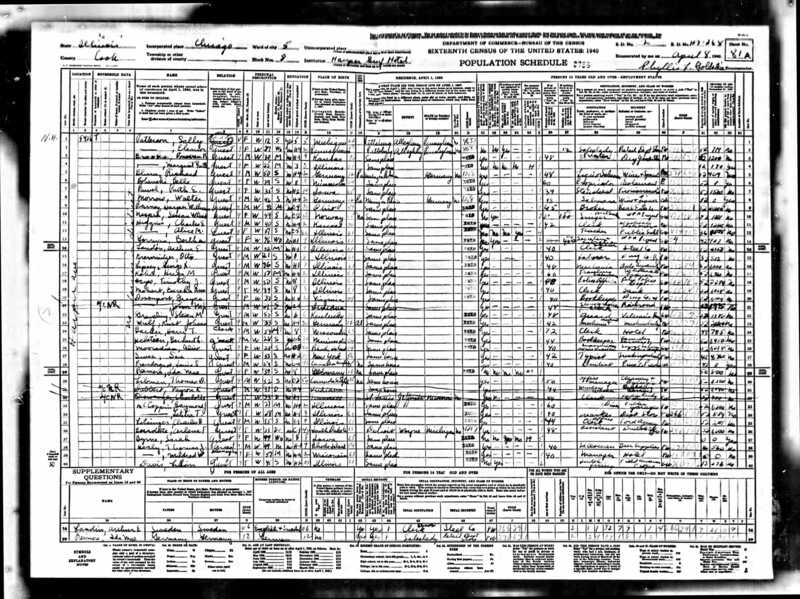 In 1920, Martin was still living in Chicago, according to the 1920 census. He was living as a lodger, and he reported his occupation as a manufacturer, Federal Bakery. 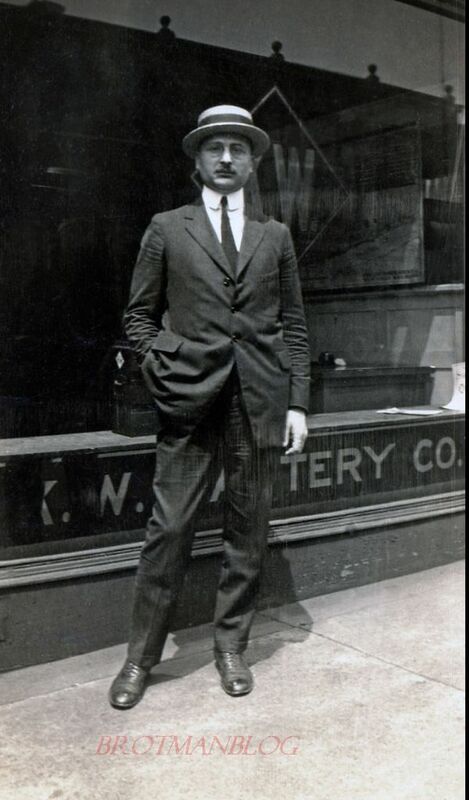 But after that I cannot find any document or other source that indicates that Martin was in Chicago after 1920. 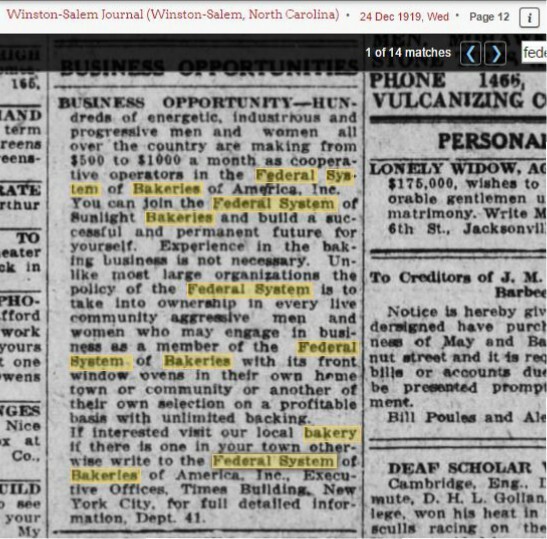 From what I can gather from various newspaper articles and advertisements as well as some court decisions, Federal System of Bakeries of America was a supplier of baking equipment to associated bakeries all over the United States. 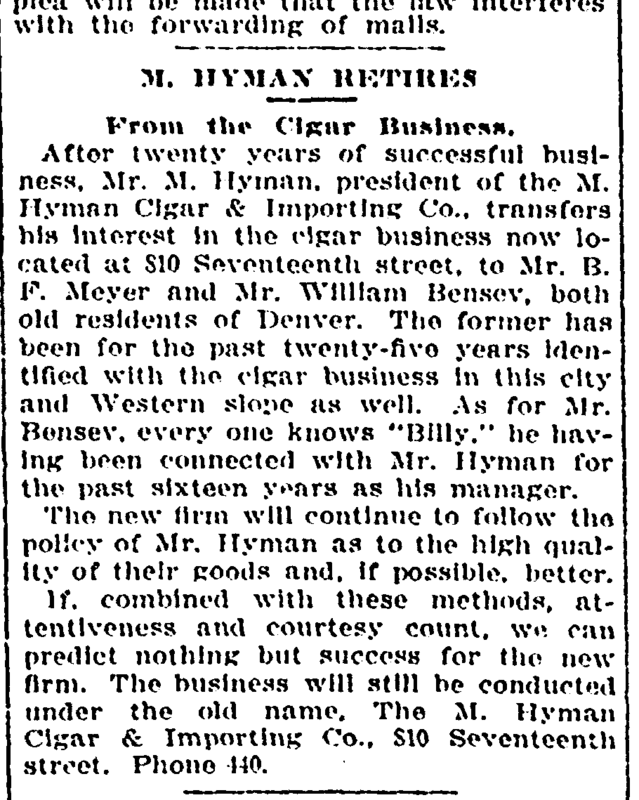 This news article from 1920 described them as a $25,000,000 enterprise with over 600 stores all over the country. “Missouri Fair Price Commission Asks Department of Justice to Investigate Why Price of Bread Was Raised,” Rockford (Illinois) Republic, February 27, 1920, p. 9. This ad conveys something about the business model of the Federal System of Bakeries. At any rate, I cannot find a listing for Martin in Chicago in the 1920s. The directories that are available on Ancestry.com for Chicago during those years do not include alphabetical listings of residents, only directories by business category or address, so Martin might have been there, but I did not find him under Bakeries nor by the address I have for him from the 1920 census. I was able to locate Maurice in the 1920s, however, because he and Blanche had moved to the Chicago suburb of Evanston, Illinois, by 1925. He was still working in the silk business as a credit manager, according to these directories (1925, 1927) and according to the 1930 census. Meanwhile, Martin had returned to Atlantic City by 1931. I cannot find him at all on the 1930 census, but he is listed in the 1931 Atlantic City directory, working as a distributor and living at 141 St. James, the address of the Lockhart Hotel where many members of his family had lived in prior years. In 1938 he was living at 161 St. Charles Place and working as a clerk. 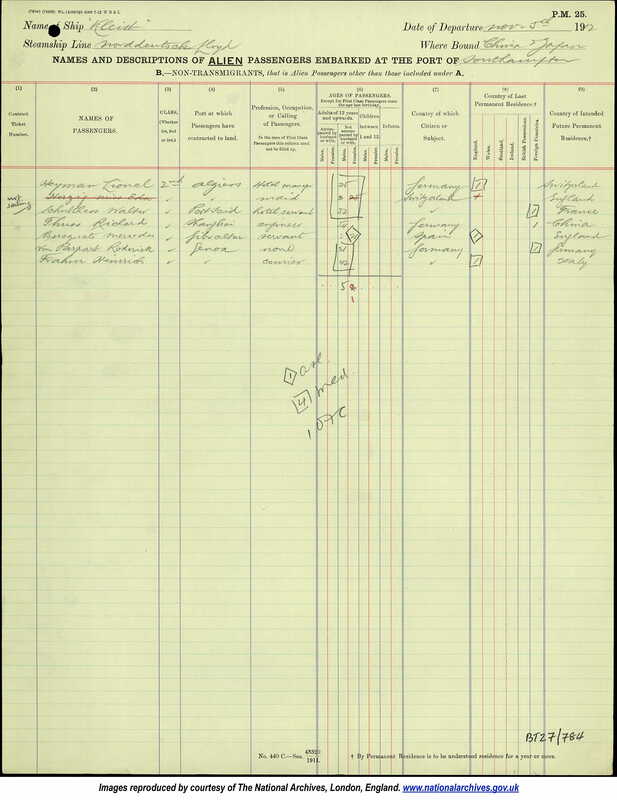 According to the 1940 census, he was working as a hotel clerk and still residing at 161 St. Charles Place, where his sister Estelle and her family were living and running the Klein-Haven Hotel. In 1941 the directory lists him working as a clerk at the Cosmopolitan Hotel, located at 3850 Atlantic Avenue. 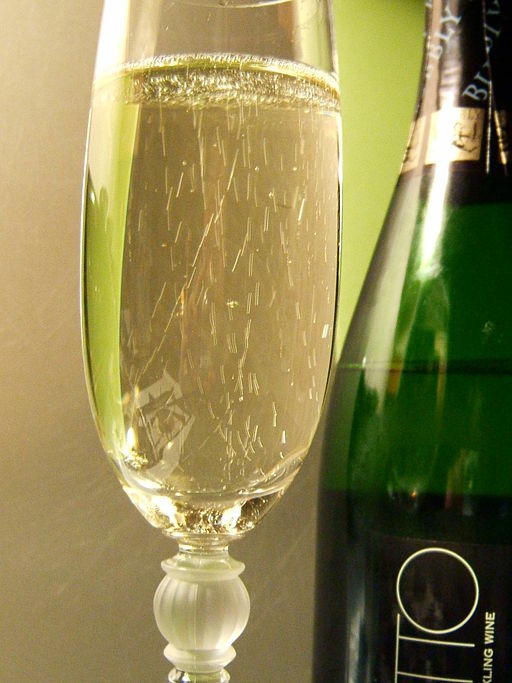 According to his World War II draft registration the following year, his employer at the Cosmopolitan Hotel was J.J. Miller, that is, Jacob J. Miller, his brother-in-law, married to his sister Gertrude. His residence was still 161 St. Charles Place. Maurice and Blanche and their son, now 21, were still living in Chicago in 1940, and their son was working as a messenger for the railroad. Their daughter had married by then and was living with her husband in Chicago. 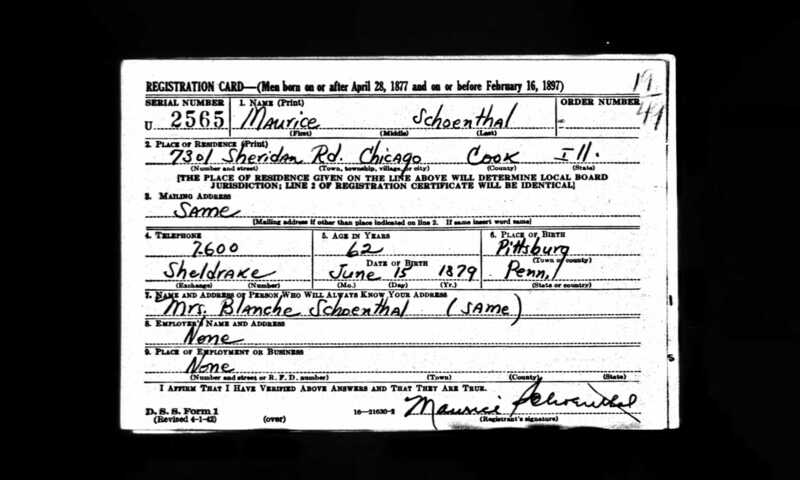 On his draft registration for World War II in 1942, Maurice reported no employment; he and Blanche were still living in Chicago. 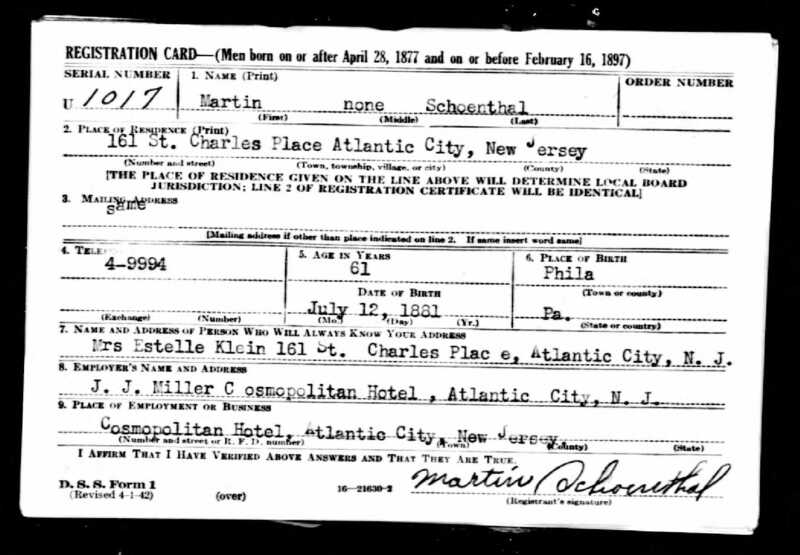 Martin Schoenthal died in Atlantic City on September 22, 1946. 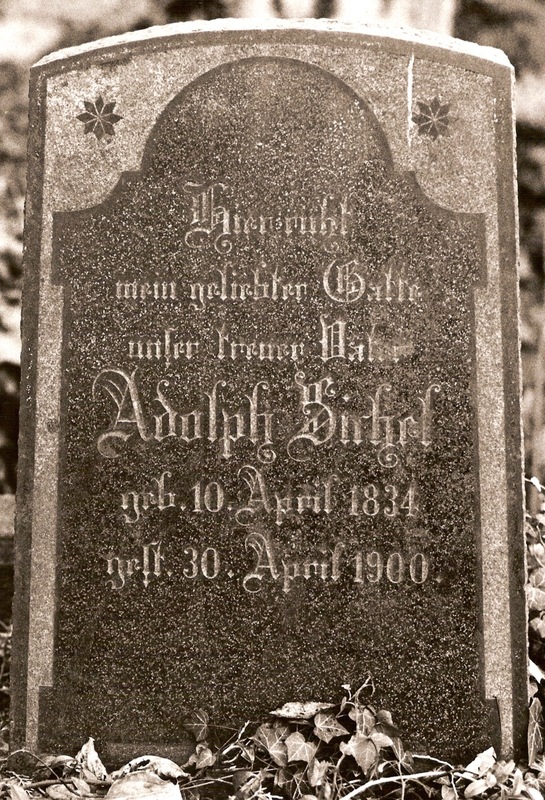 He was 67 years old and was buried with his parents at Mt. Sinai cemetery in Philadelphia. As far as I can tell, he had never married or had children. 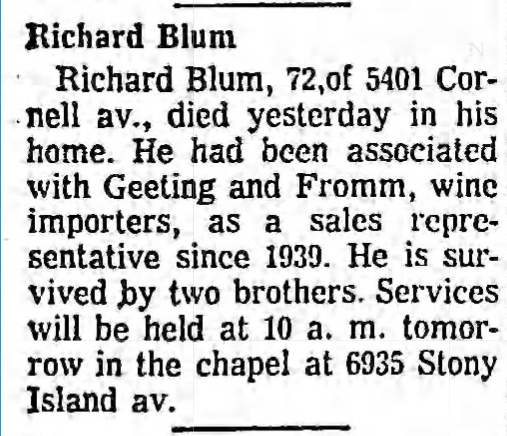 His brother Maurice was living in St. Petersburg, Florida, in 1952, but that is the only year for which I can find a listing for him in that location, nor can I find him in any other directories or sources after 1942. I cannot find a record for Maurice’s death, but I did find Blanche’s death certificate. When she died on July 1, 1965, she was already a widow, so Maurice must have died sometime before that date. Maurice and Martin Schoenthal: two brothers, two years apart in age, who had started their adult years in business together. After Maurice married and settled in Chicago, his younger brother Martin followed him there and lived nearby for several years. But whereas Maurice seemed to have both personal and business success in Chicago, Martin returned to his former home in Atlantic City to work, as so many in Simon Schoenthal’s family did, in the hotel business. 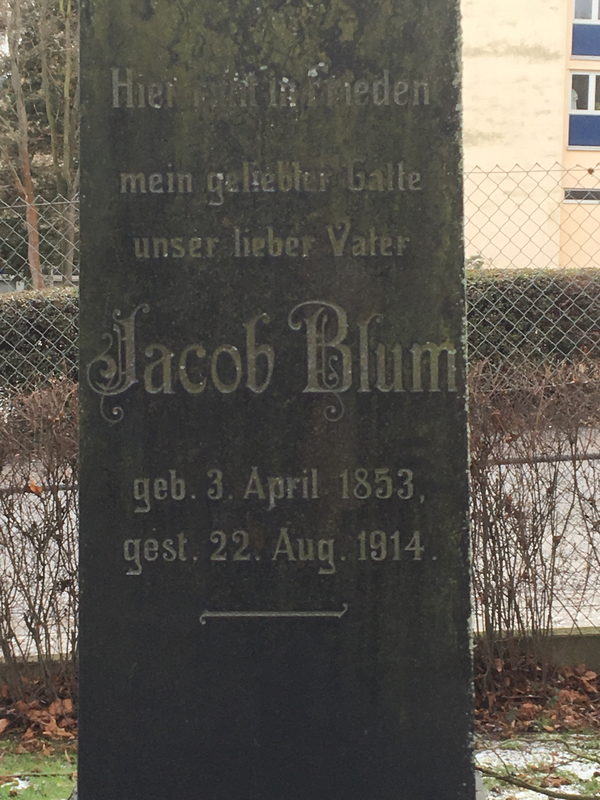 Two weeks ago, I wrote about the curious death of Adolphus Nusbaum, my great-great-granduncle, son of John and Jeanette (Dreyfuss) Nusbaum. He died on February 8, 1902, on a train from Washington, DC, about 20 miles outside of Chicago, according to the family bible. 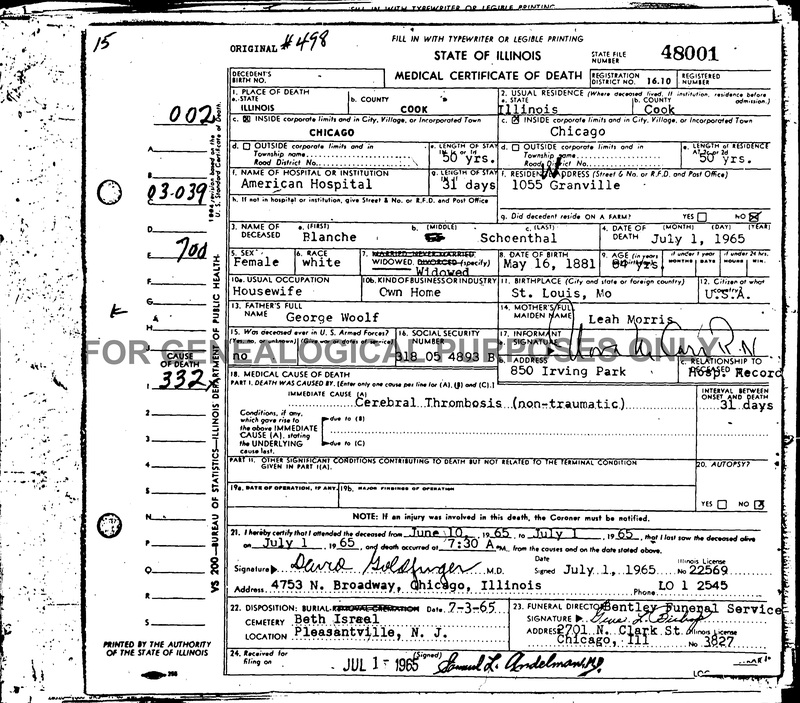 Although I found this record from Illinois regarding the transfer of his body to Philadelphia, I could not find the follow-up to the coroner’s inquest, and so I was left wondering what had happened to Adolphus. 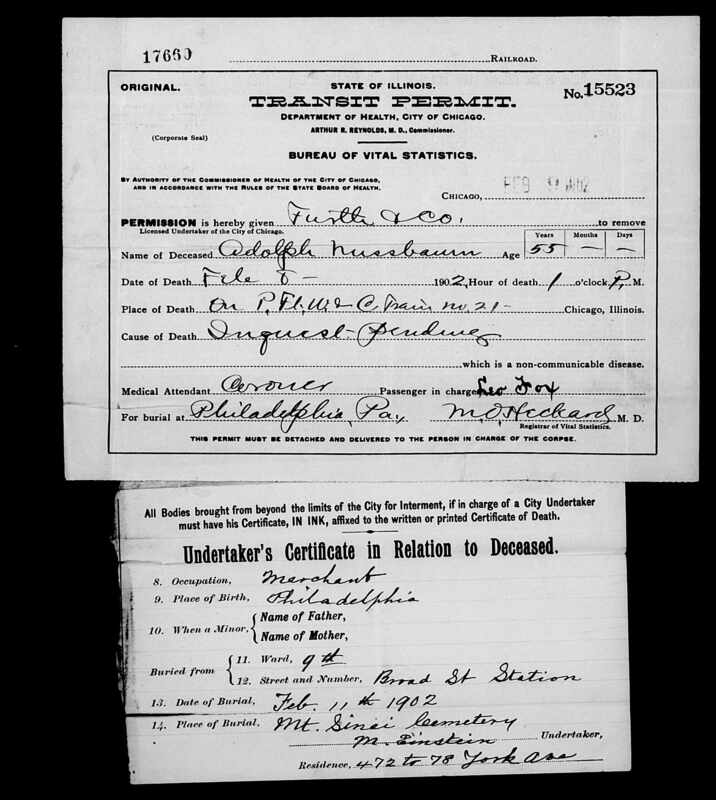 “Pennsylvania, Philadelphia City Death Certificates, 1803-1915,” index and images, FamilySearch (https://familysearch.org/pal:/MM9.3.1/TH-266-11810-171514-28?cc=1320976 : accessed 19 Sep 2014), 004047863 > image 92 of 701; citing Department of Records. My imagination went a little wild, speculating about conspiracy and murder with his wife Fanny and brother Julius running off together to Canada. 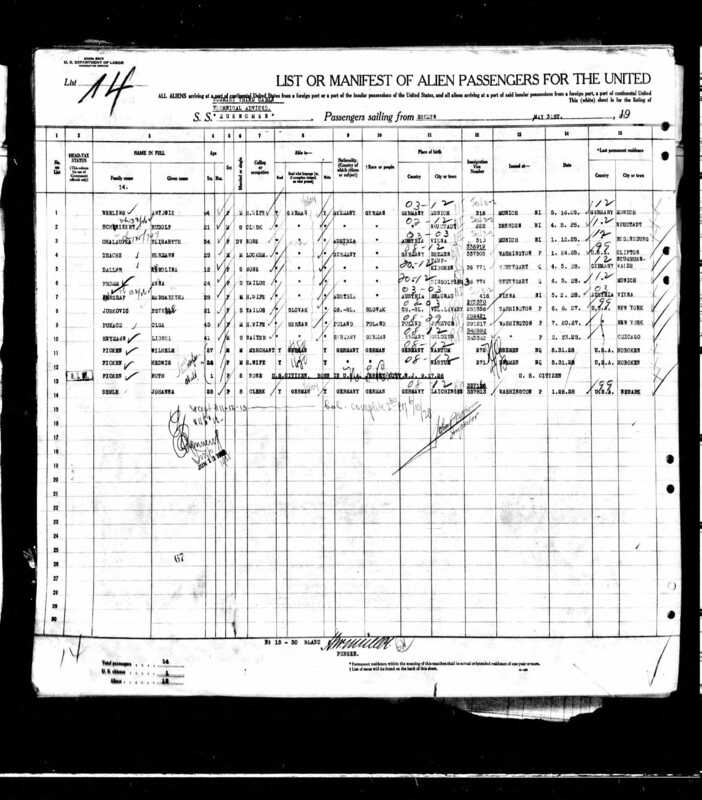 After all, I couldn’t find either Fanny or Julius on the 1910 census, and when they surfaced in 1920, they were living together as boarders in a home in Philadelphia. But the reality was much more mundane. With the assistance of my friend Laurel, I was able to find the results of the coroner’s inquest. Laurel helped me figure out that the inquest would have taken place in Chicago where the body would have been delivered before it was then transported back to Philadelphia for burial. (I had been mistakenly looking in Philadelphia records.) 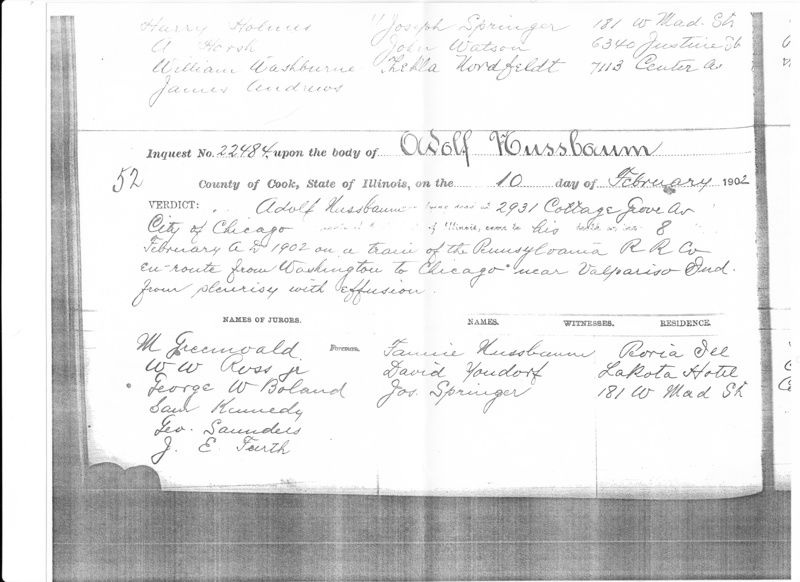 I then searched the Cook County index of coroner’s reports and found the one for Adolphus (listed as Adolph Nussbaum). I ordered a copy, which arrived right before the weekend. The report confirms that Adolphus died on the train on February 8, 1902, while en route from Washington to Chicago when the train was near Valparaiso, Indiana, which is 52 miles from Chicago. The coroner’s inquest concluded that he died from pleurisy with effusion. There was nothing in the report that indicated anything suspicious about the death. The report also lists the witnesses who testified at the inquest, including Fanny Nusbaum (Fannie Nussbaum here) of Peoria, Illinois. Although she might have testified for other reasons, it would seem likely that she testified as a witness to the death itself, meaning she was with Adolphus on the train. The last witness, Joseph Springer, was the physician in the coroner’s office. I don’t know who David Yondorf was; the report (cut off on the scanned copy above) states that he lived in the Lakota Hotel in Chicago and was a clothing merchant. My guess is that he was a passenger on the train when Adolph died. One other update about the children of John and Jeanette: I wrote that Julius had died of dilation of the heart superinduced by acute indigestion. My medical expert thinks that what this most likely meant is that Julius complained of acute indigestion but was really having a heart attack, leading to the heart failure that led to his death. I was relieved to know that indigestion does not cause heart failure. It’s been a week since I last posted anything new about the DC Cohen family. I had last written about Solomon Monroe Cohen and his family, the son of Moses, Jr., and Henrietta Cohen. Although I will continue to try and fill the gaps left in the research of the children of Moses, Jr. and Henrietta Cohen, I am now going to move on to the other children of Moses, Sr., and Adeline Cohen, first focusing on their son Hart, who was born in 1851 in Maryland. It was this Hart (whom I’ve referred to as Hart DC) who had me confused because of the similarities between some of his biographical facts and those of his first cousin, my great-grandfather Emanuel’s brother, Hart Cohen of Philadelphia. They had the same name, were born the same year, and were both married to women named Henrietta. It was this Hart who led me to the discovery of the DC branch of the Cohen family. Hart and his wife Henrietta Baer had four children: Frances, Munroe, Isadore, and Jacob. Their son Munroe was killed in an awful accident while working as a brakeman on the railroad in Kingston, New York, in 1903. Isadore had married Frances David in 1907, so in 1910, Hart and Henrietta had two children living at home, Frances (32) and Jacob (25). Jacob was working as a chauffeur, and Hart was working in a jewelry store. 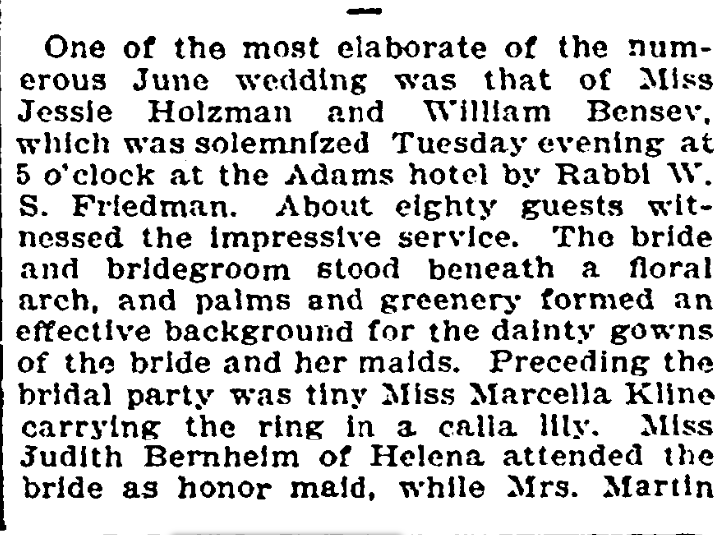 On August 8, 1914, Hart’s wife Henrietta Baer Cohen died; she was only 62. 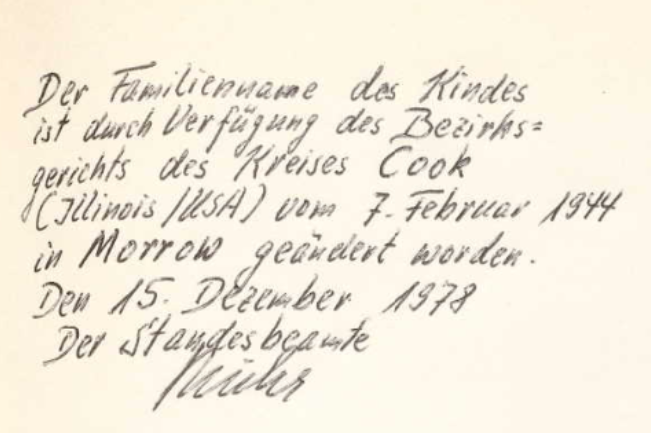 Isadore and Frances had had a son Monroe born in 1910, presumably named for Isadore’s brother. In 1916, they had another son, Burton. 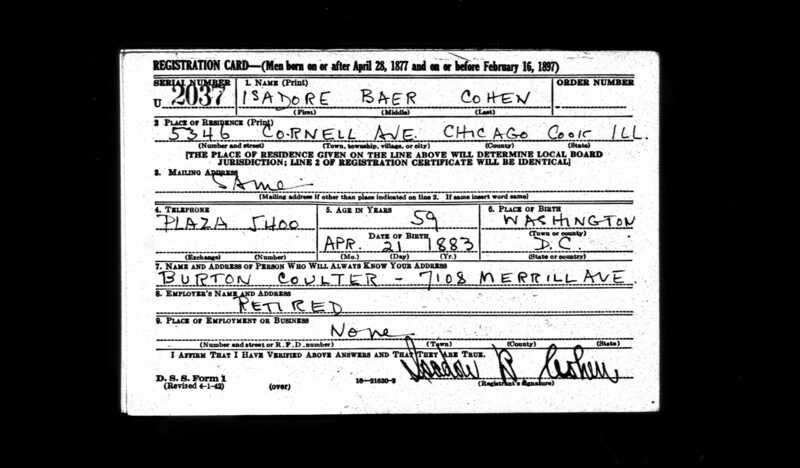 In 1917, Isadore was working as a department manager for a hotel according to his World War I draft registration. 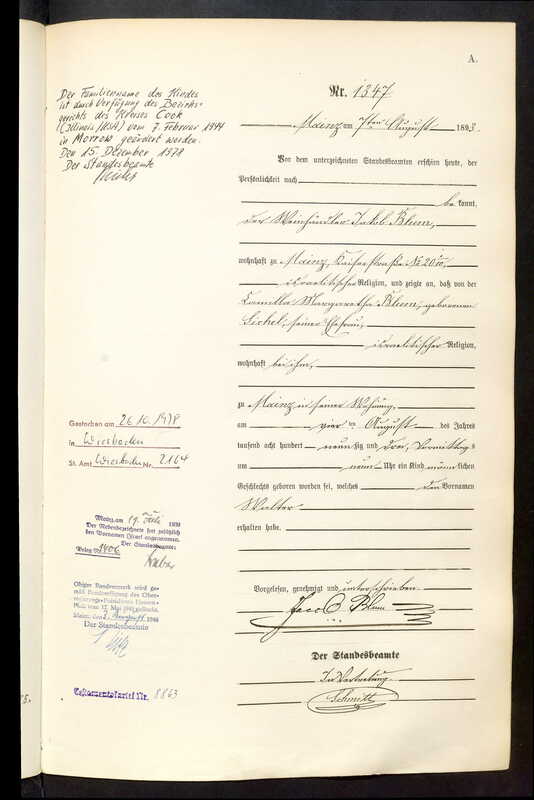 I found two World War I draft registrations for Jacob. The earlier one, dated June, 1917, listed Jacob’s business as the concessions business and said he suffered from heart trouble. His marital status was single, and he was living with his father and his sister Frances at 1802 7th Street NW in Washington. The second one, dated September 1918, had a number of changes: he was working in the restaurant business and was self-employed, he was married, and there was no mention of heart trouble. 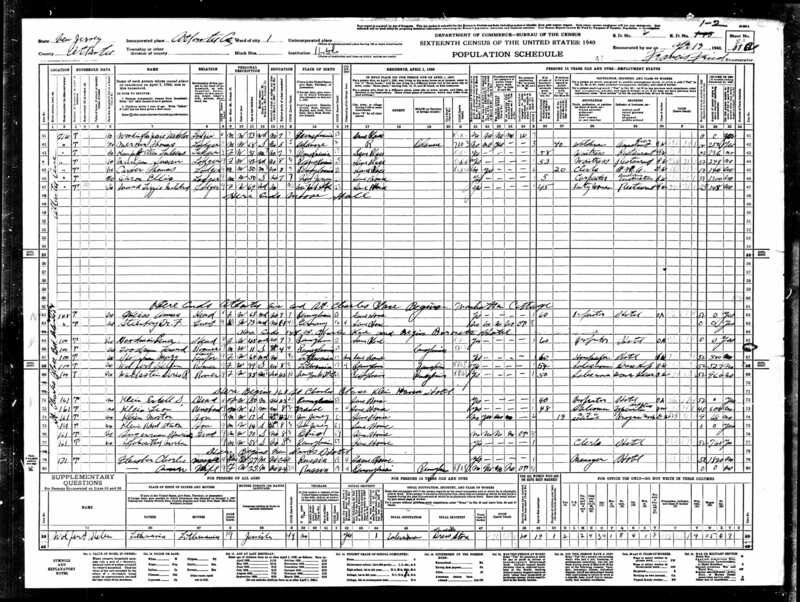 According to the Philadelphia marriage index, Jacob had married Rose Serge in Philadelphia in 1918. He was 33, and she was thirty when they married. In 1918, they were living at 1802 7th Street with Jacob’s father and sister Frances. In 1920, Hart and his daughter Frances were still living at 1802 7th Street, but Jacob and Rose had moved to their own place in Washington. Jacob was still in the restaurant business. Isadore and his family were also still living in Washington, and Isadore was still in the hotel business. On August 10, 1926, Hart died at the age of 75. His daughter Frances continued to live in the same residence at 1802 7th Street, now living alone and working as a retail merchant in the dry goods business, a business she had been working in since at least 1915. She would continue to work in that business until her death in February, 1941, at age 62, the same age her mother had been when she died. Frances’ death notice said that she had died suddenly. She was buried at Washington Hebrew Cemetery. There is no mention of her brother Jacob in her death notice, only mention of her brother Isadore. Frances never married or had children. Ancestry.com. 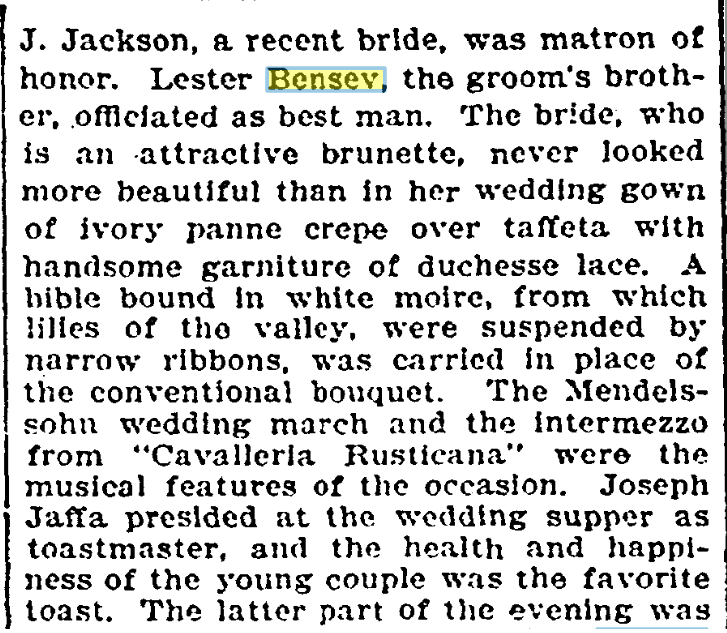 Historical Newspapers, Birth, Marriage, & Death Announcements, 1851-2003 [database on-line]. Provo, UT, USA: Ancestry.com Operations Inc, 2006. In 1930 Jacob and Rose were living in Philadelphia, where Jacob was the manager of a restaurant. 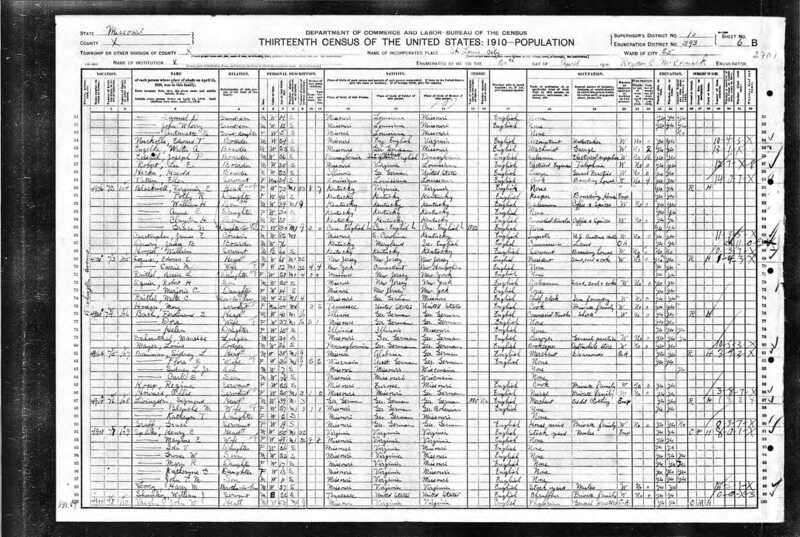 I could not find Jacob or Rose on the 1940 census, nor can I find a death record for Jacob, but given that he was not listed in his sister’s obituary and that he had had a history of heart trouble, my guess is that he had died before the 1940 census. He would have been younger than 55 years old when he died. He and Rose did not have any children. 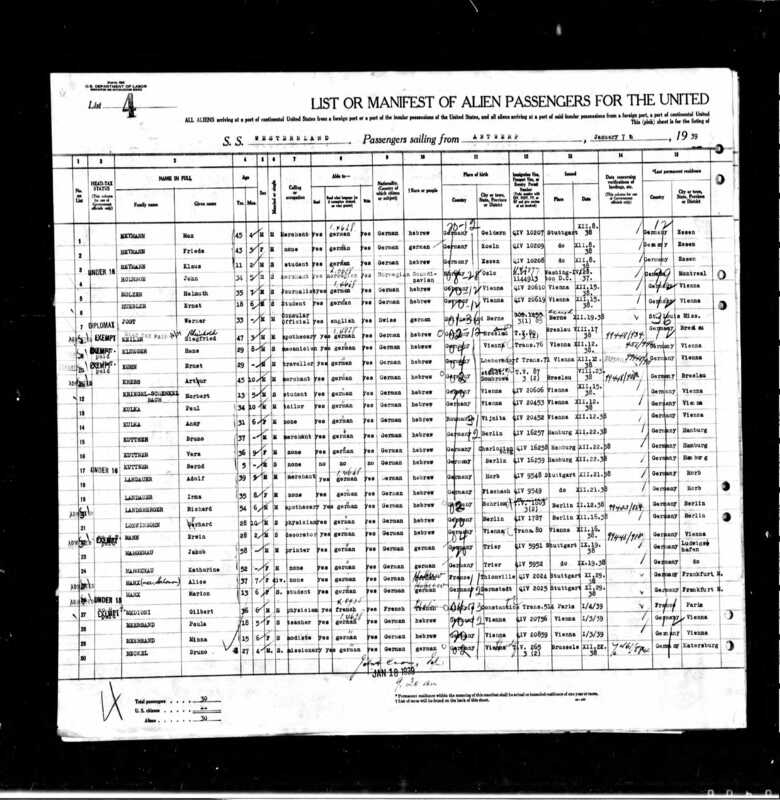 Although I could not find Rose on the 1940 census, she was still alive in 1949, as I found her on a ship manifest traveling to Hawaii. According to the ship manifest Rose was living at 41 Emory Street in Jersey City, New Jersey, in 1949. Rose had lived in Jersey City as a child, and 41 Emory Street is where her mother had been living in 1925 and where two of her sisters were living in 1930. Obviously, Rose had returned to her hometown after Jacob died. She was still alive in 1952 when her sister Minnie died, but after that I cannot find any mention or record for her. I tried contacting the funeral home that had handled other deaths in the Serge family, Wien and Wien in New Jersey, but sadly their records for the Jersey City funeral home were burned in a fire fifteen years ago. I also called the cemetery where Minnie is buried to see if they have any records for Jacob or Rose Cohen, but have not heard back from them. As for Isadore, in 1930, he and his family were living in Chicago, where Isadore was working as a salesman in the paper industry. His son Monroe was a clerk in the weather bureau there. I wonder what prompted the move to Chicago and the career change for Isadore. In 1940, the family was still living together in Chicago, and Isadore was a book salesman. Both Monroe and Burton had changed their surname from Cohen to Coulter, though their parents were still using Cohen. 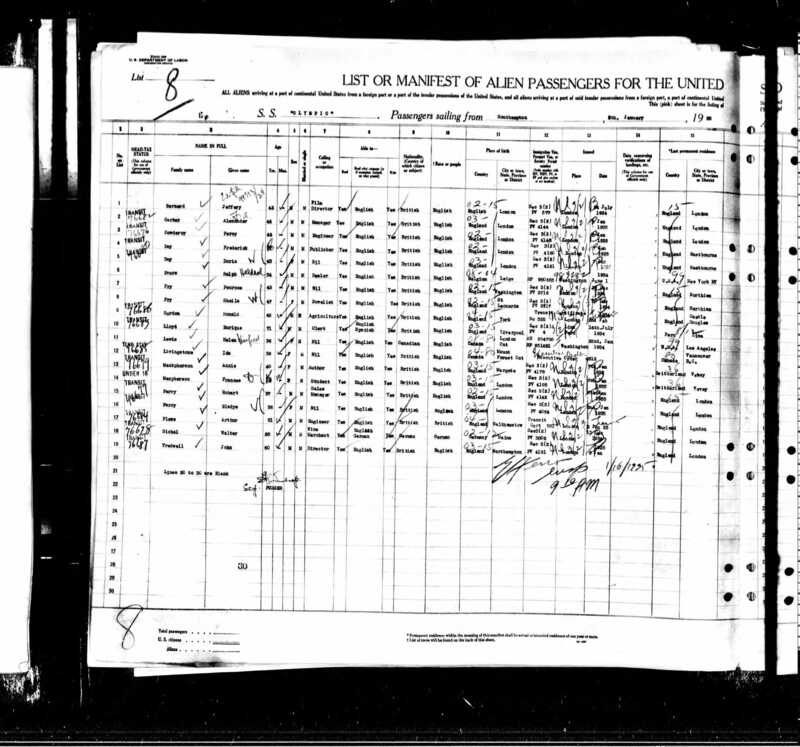 Although Monroe was now 30 and Burton 24, there is no occupation listed for either of them on the 1940 census. 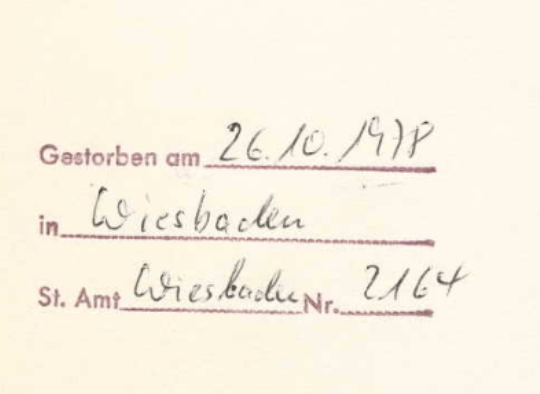 By 1942, Isadore had retired, according to his draft registration. He gave Burton’s name as his contact person, which I found interesting since his wife Frances was still alive at that time. Sometime between 1942 and 1949, Isadore and Frances moved to California, where Frances died in 1949. Isadore died in 1958 when he was 77 years old. He lived a much longer life than any of his siblings or his mother. His father Hart was the only other one to live past seventy. According to his obituary in the Chicago Tribune of September 8, 1996, Isadore’s son Monroe Coulter had enlisted in the Army Air Corps before World War II and was an electrical engineer. He married Fannie Simon on November 25, 1942, in Chicago and appears to have settled in Illinois. They had two children. Monroe worked on the Air Force missile program and retired from the military in 1970 with the rank of lieutenant colonel. He was living in Itasca, Illinois, when he died on September 6, 1996, and is buried at Shalom Memorial Park in Arlington Heights, Illinois. His brother Burton moved to California in the 1950s. He was married and had two children. In 1952 he was working as the deputy county assessor in Alhambra, California, according to a directory for that city. Then, according to Sacramento city directories, from at least 1959 through 1966 he lived in Sacramento and worked as an appraiser for the California Department of Equalization, a state agency responsible for administering the state tax laws. Burton died in Los Angeles, California in 1978. He was only 61 years old and thus was another family member who did not live to see seventy. The family line of Hart and Henrietta Cohen thus is somewhat limited. Of the four children of Hart and Henrietta, only Isadore lived past seventy, and only Isadore had children. Frances never married, and Jacob married, but did not have children. Munroe, Jacob, and Frances all died at relatively young ages, as did their mother Henrietta. Although Munroe died in an accident, I do not know what led to the early deaths of Henrietta, Frances and Jacob, but will see if I can find out. 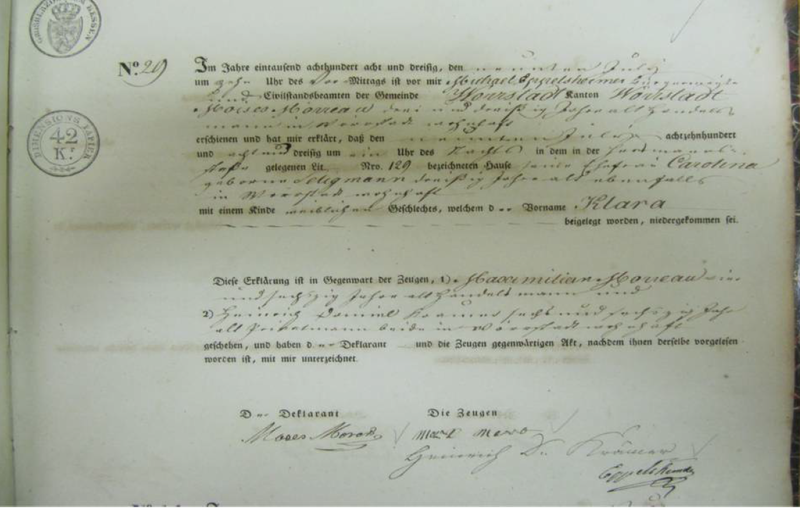 I am hoping that one of Isadore’s descendants will be able to provide a Y-DNA test to provide evidence of the genetic link between Moses Cohen, Sr., and my great-great-grandfather Jacob Cohen, but I am having some trouble making contact with them. They are the only direct male genetic descendants of Moses Cohen, Sr. and thus my only option for finding that genetic connection between Moses and Jacob. Maybe one of them will find this blog post and find me.